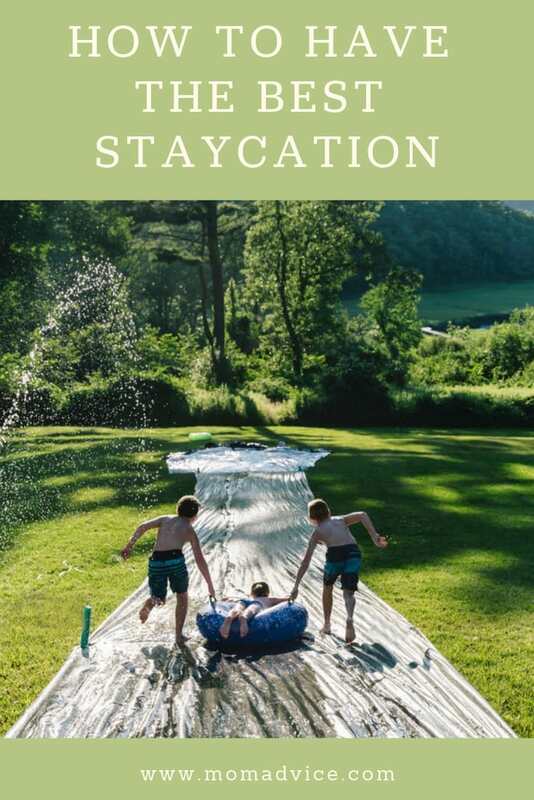 Today we have gathered the best tips, easy projects, and fun activities you can play for the ultimate family staycation. 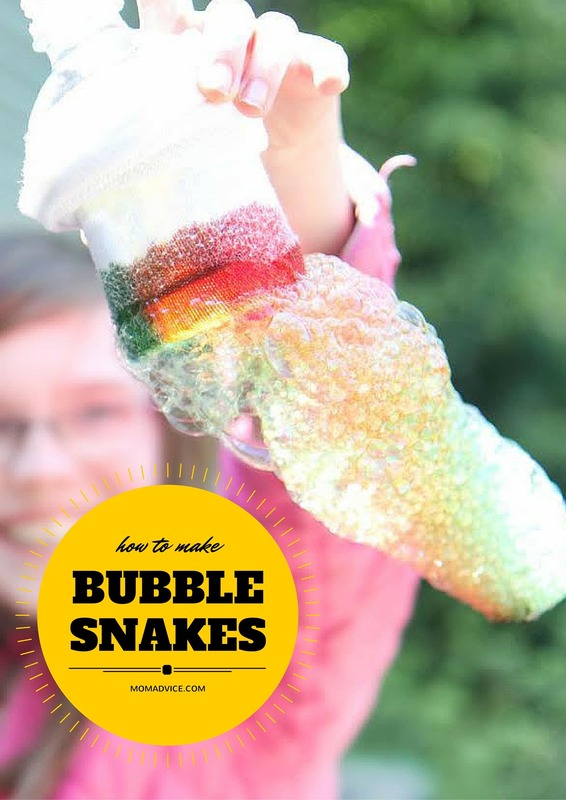 Be sure to bookmark this for some of our favorite boredom busters! Well, the joke was on us, because just a short hour after I dropped her off at school that morning, I got a call from the school nurse. My daughter had, indeed, broken her leg. That ordeal is a story for another time. But what I’m remembering today, as we head into spring break season once again, is how so many people reacted to the news by asking if we’d had big spring break plans. Apparently, many families plan big trips for their kids’ spring breaks. I feel silly admitting it, but I really had no idea. I had assumed most families would be staying home, juggling work and childcare, catching up on home projects, and possibly taking a trip to the movie theater or park before sending their kids back to school. After all, that’s about all I had planned! After hearing about other families’ more extravagant and adventurous plans, I didn’t feel guilty that we couldn’t afford that kind of travel or time off in the spring. But I did feel bad that I hadn’t put more thought into what we would actually do instead. Last year’s spring break was consumed by pain medicine, follow-up doctor’s appointments, and begging my daughter to JUST TRY TO USE THE CRUTCHES. But this year, I was determined to make the most of our five days off school! Evaluate your free time. Plan your work time. Because of the nature of my work, I can’t simply take a whole week off. (Okay, I can, but it requires a level of nose-to-the-grindstone intention that I just didn’t pull off this time.) But I also don’t want to spend five days trying desperately to finish projects while hearing my kids ask, “When are you going to be finished?” So I’m planning three half days of work (and probably a chunk of time on the weekend to catch up). That way, they know they’ll have to entertain themselves during those times and I know I will need to focus so I can maximize those times. Now we’re left with two full days and three half days. What will we do? Take a look at your to-do-someday list. Get something done. I’m not the only one with a Someday To-Do list, am I? A list of house projects, inconvenient errands, or seasonal tasks that always seem to get pushed to the back burner during the regular school year? 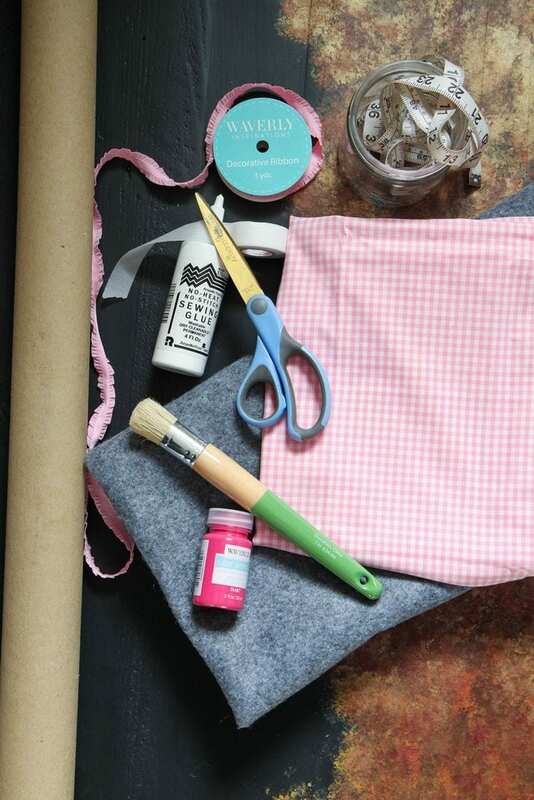 The trick with this part of a spring break staycation is positioning your to-dos as adventures or fun projects. 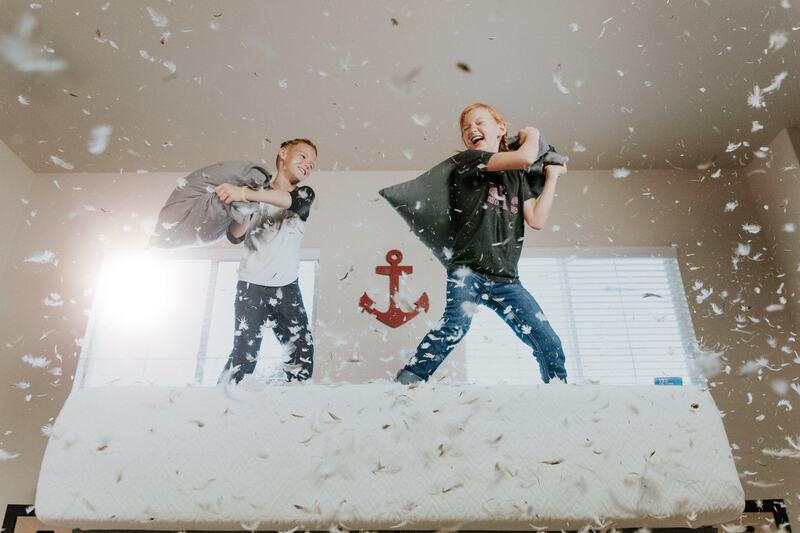 If your kids are anything like mine, half the fun of spring break is spending extra time together — so why not use some of that together time to accomplish something? You’ll be relieved, and they’ll be proud they helped. Other chores or errands might require some incentives, of course — like shopping for new spring clothes, but only after we go through and clean out their closets, or a trip to a special ice cream shop but only after we finally return those Christmas presents you’ve had in the trunk of your car for months and drop off the Goodwill donations you packed up back in January when you KonMari’d your house like the rest of the world. Because I want to have two full days for full-blown staycation adventures, I’m planning our “project” (chore and errand) days for the other half of those days I’ll work. Now, finally, it’s time for the fun part! Explore your town. Connect with friends. Make memories. 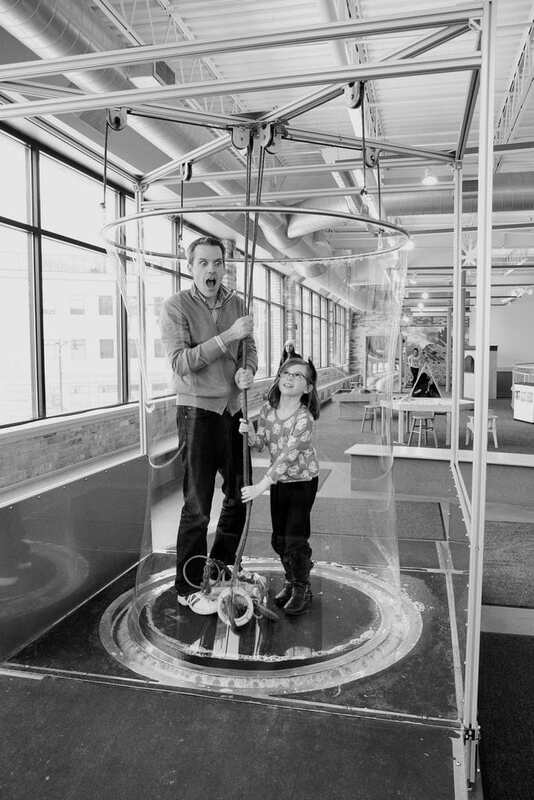 Does your community have a children’s museum? Or art museum? Or, really, any kind of place where your kids can let loose and have fun (while also learning something because you’re a sneaky mom like that)? Go there. Bonus tip: Look on the museum’s website to find out if they have free days or hours, coupons, or special events that you can plan around. What’s new? Has a big store opened up recently? Or perhaps a new restaurant? 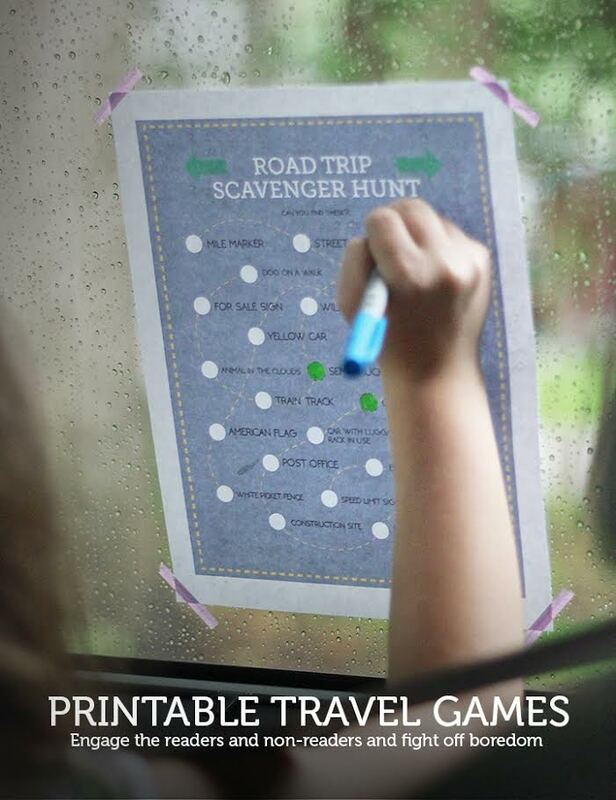 Make an adventure of checking out the new place by putting together a scavenger hunt for your kids or giving them a “mission” or mystery to solve while you’re there. Tasks or items might include eating a food they’ve never tried before, spotting specific items or colors or numbers, deciding how they’d like to spend a certain amount of money (either pretend or real), or even figuring out where the public restrooms are located. 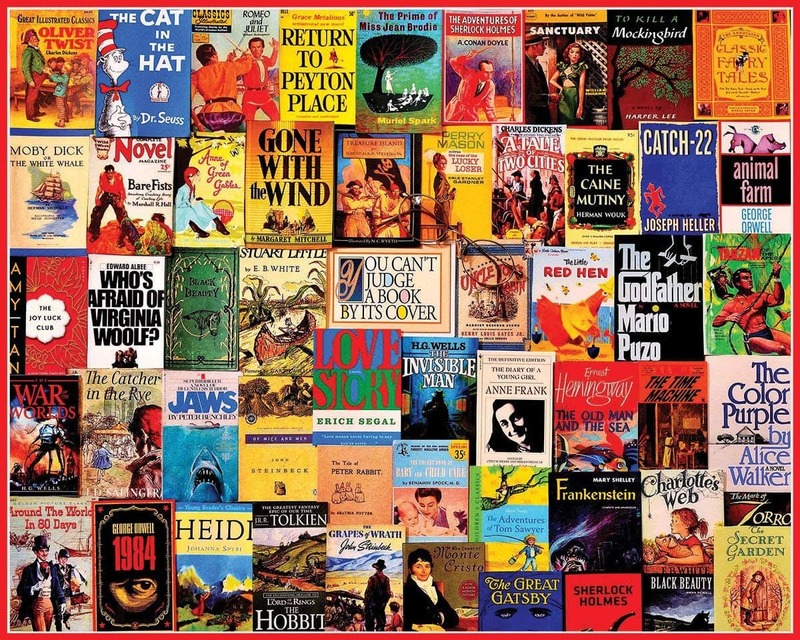 Take a trip down memory lane. 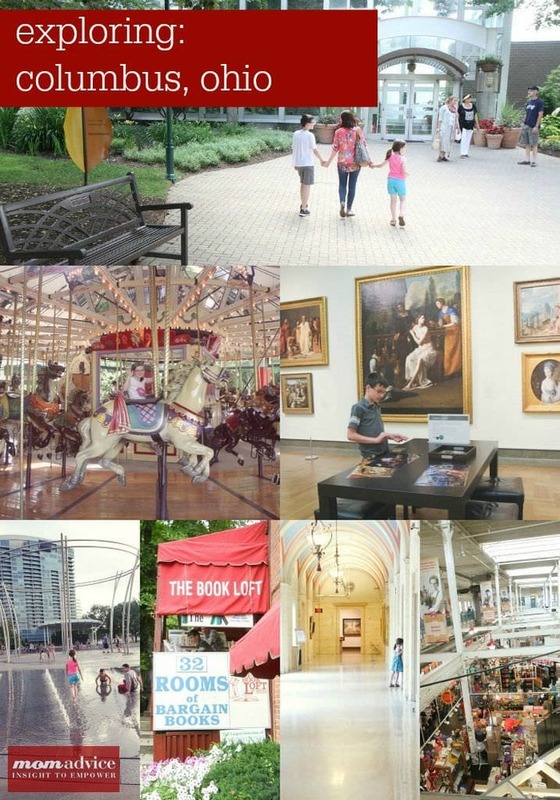 If you’ve lived in your city for a while, take your kids to see some nostalgic sights (like your childhood home, the restaurant you and your husband had your first date, the park you took them to when they were much younger). If you’re new to town, you can use this time to learn about your community’s history. Check out a local museum, ask a neighbor to share one of their favorite spots, or just explore an area, road, neighborhood, attraction you haven’t visited yet. Put the “stay” in staycation. Finally, you don’t have to even leave the house to have fun during your break. If you have little kids or a health condition or any reason at all that makes going out to find fun more difficult than usual, just stay home! But that doesn’t mean you’re stuck with Disney Channel reruns or another week of mac and cheese lunches. You can mix it up, right from home! 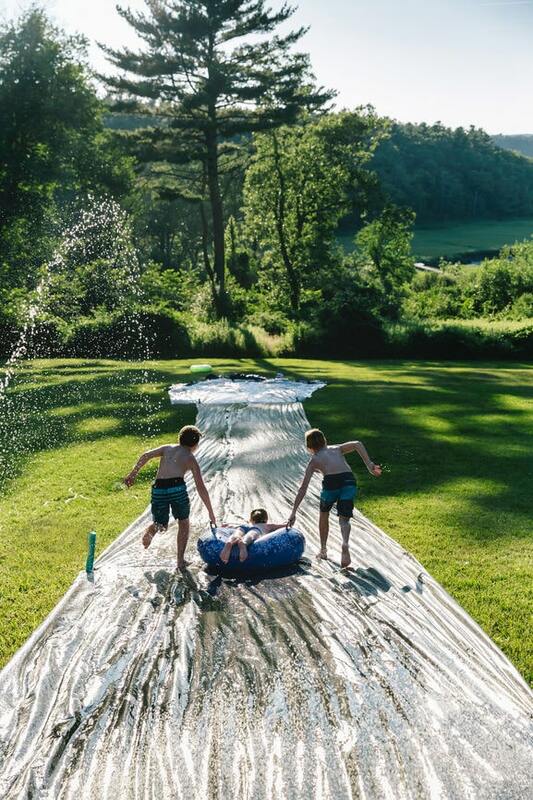 Whatever your staycation looks like, you can make it fun. And really? Your kids will enjoy just as much and remember just as fondly the day you let them spend hours in their swimsuits, splashing in the tub with all the toys as they would some tropical trip. Are you together? Are you doing something out of the norm? Are you laughing and letting loose, even just a little? Then your staycation will be a success! Set a budget. Even if you’re staying home, you’ll likely spend a little more money when all your kids are home and “needing” to be entertained. Plan for rest. Much as I adore schedules and lists, I know we can’t fill up every minute. 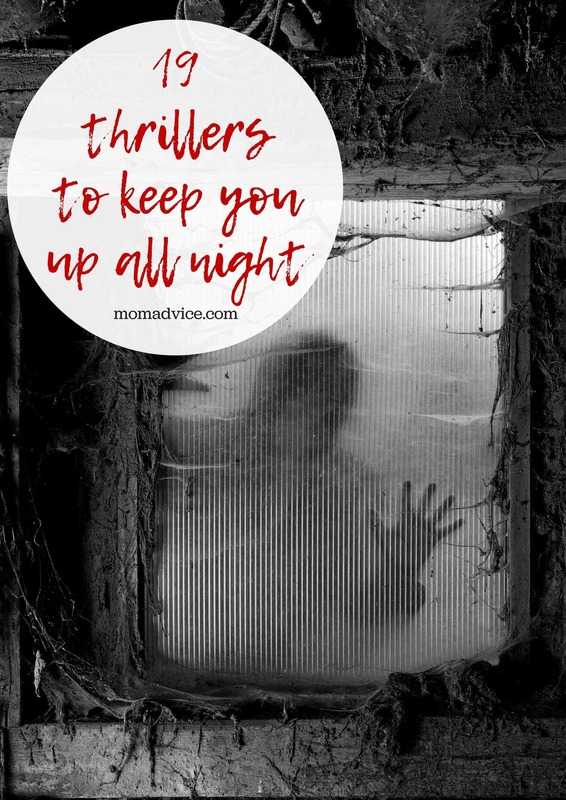 Both my kids and I need downtime and quiet time, so I might as well plan for that, too. Sprinkle in surprises. Even on those work or project days, you can delight your kids with their favorite dessert, a new Spotify playlist, a quick manicure, or a break to play catch in the backyard. Want more fun activities for the perfect staycation or family getaway? Here are a few of our faves! Still bored? 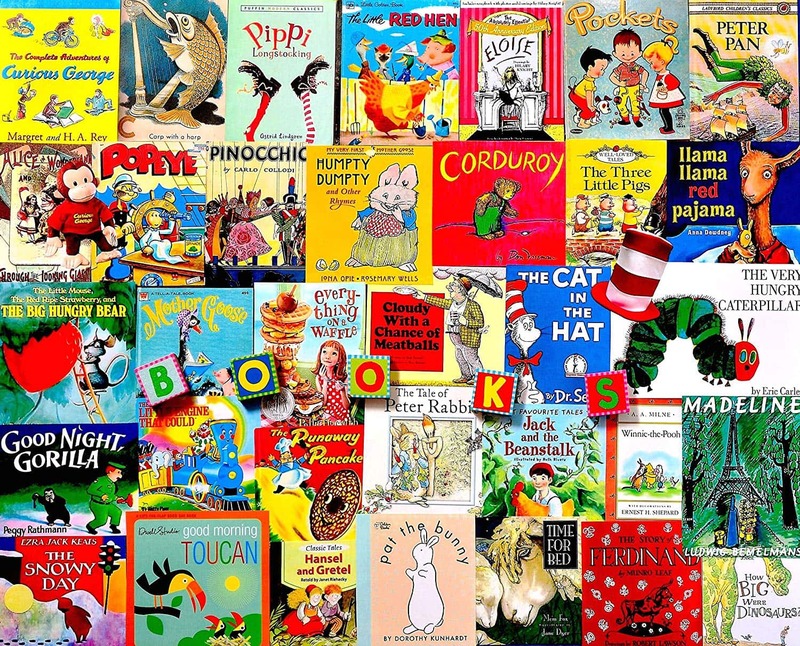 Here are 22 of our favorite spring break boredom busters! What do you like to do during a staycation? 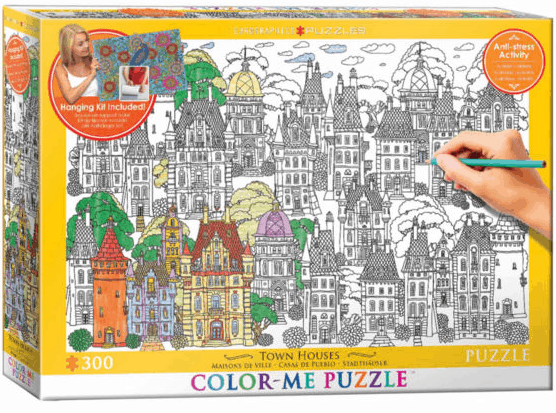 This no-sew felt puzzle mat is the perfect foundation to build your puzzles on, allowing you to relocate your puzzle when you need to. 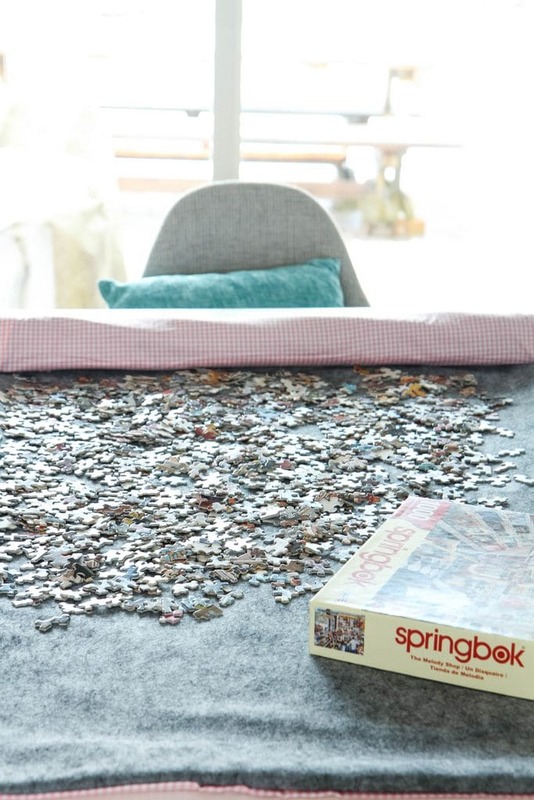 Check out this fun DIY in honor of National Puzzle Day! What shows your love for someone more than something handmade by you? 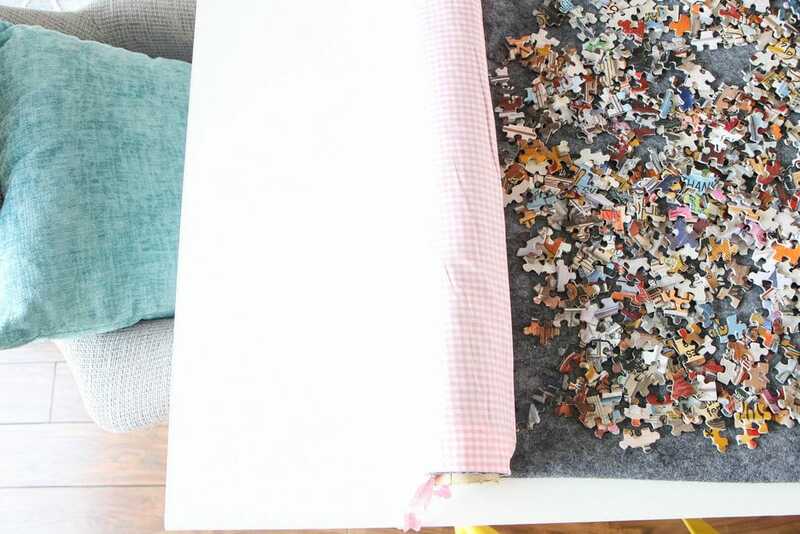 Today I am sharing a tutorial for an easy no-sew DIY Roll-Up Jigsaw Puzzle Mat that I created for my family. 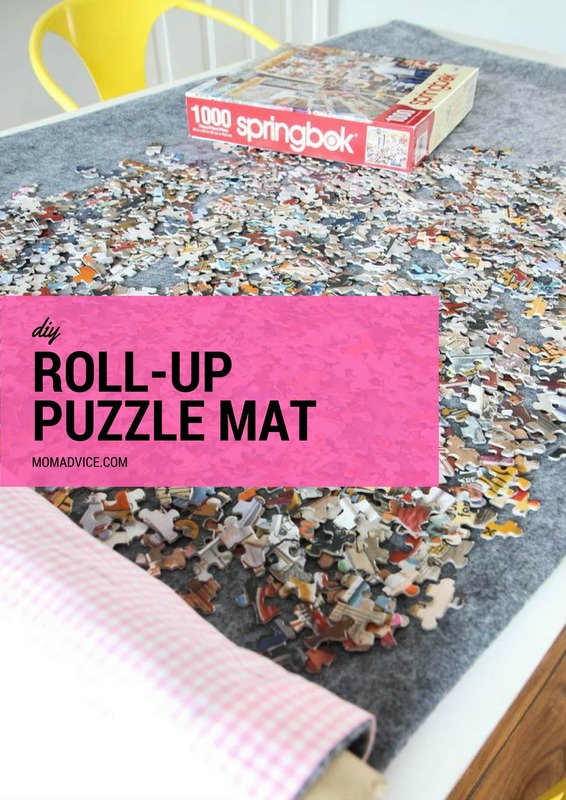 This mat makes it easy to relocate your puzzle projects when you need to use your table and it’s made with just a few inexpensive materials! 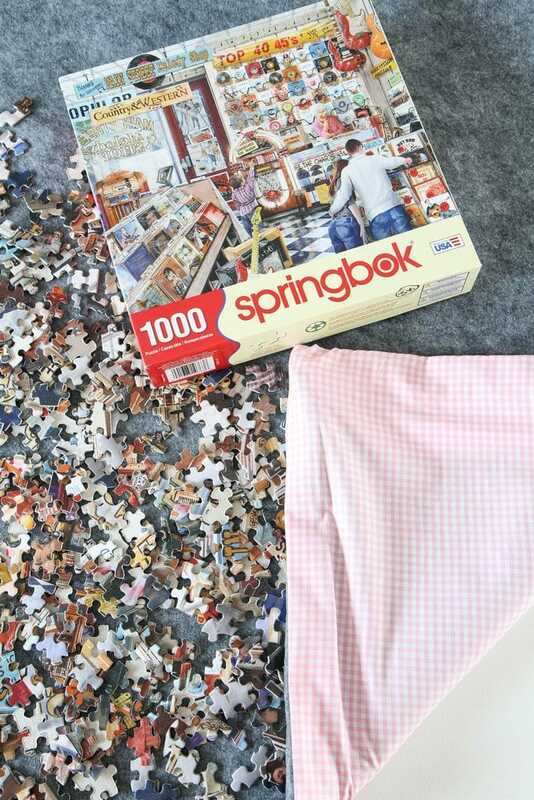 Are you addicted to jigsaw puzzles like us? My kids are at a fun age right now where we are really enjoying playing board games and assembling puzzles together. 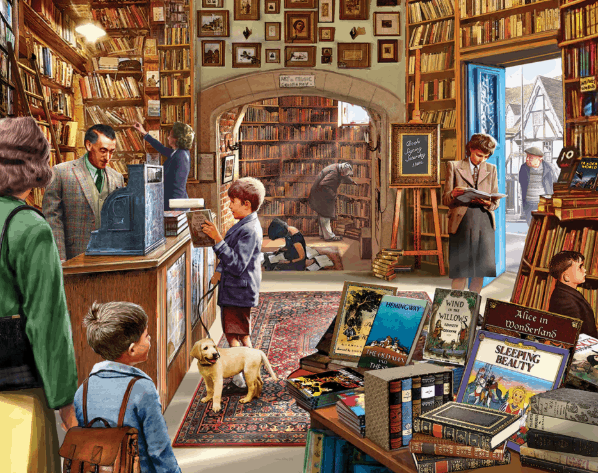 Right now we are tackling 1,000 piece puzzles which feels so ADULT. We haven’t had the courage to go beyond that size yet, but I’m sure we will get there. 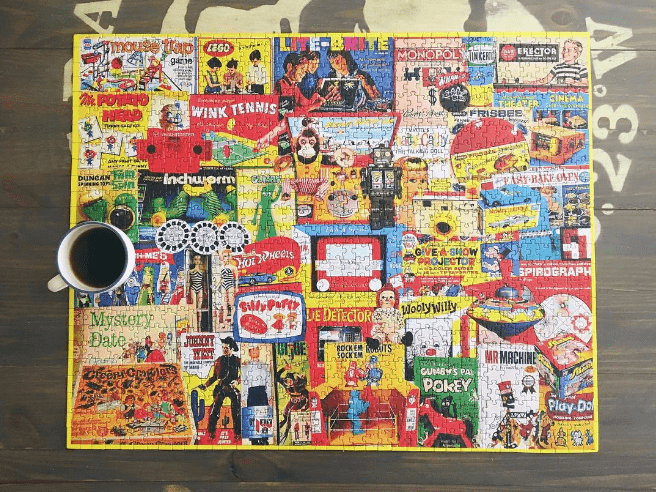 Even after our kids have headed to bed, the hubby and I spend time together listening to podcasts or good music, while piecing together puzzles. I find it be quite therapeutic after sitting in front of a screen all day. It helps me decompress in the evening while giving my brain a break from my to-do lists. 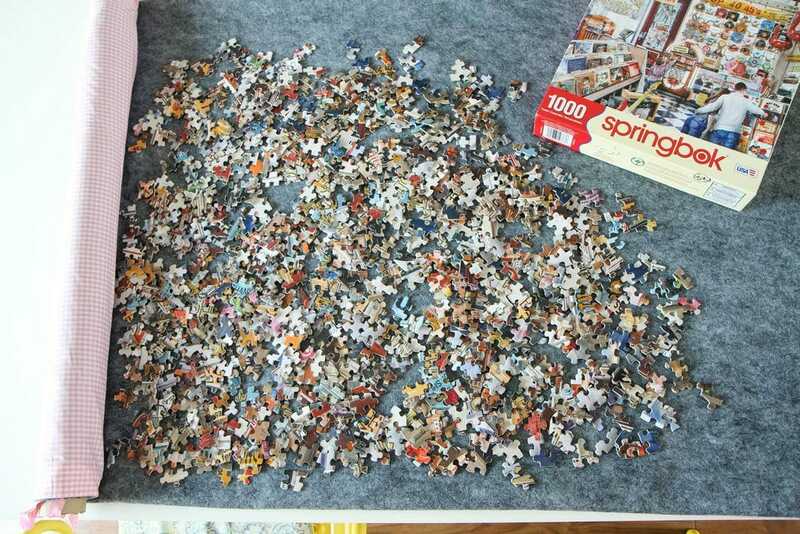 To maximize our jigsaw puzzle collection, a couple friends and I trade puzzles after we finish them which has been great because we always have something to work on, while keeping it rather frugal in the process. 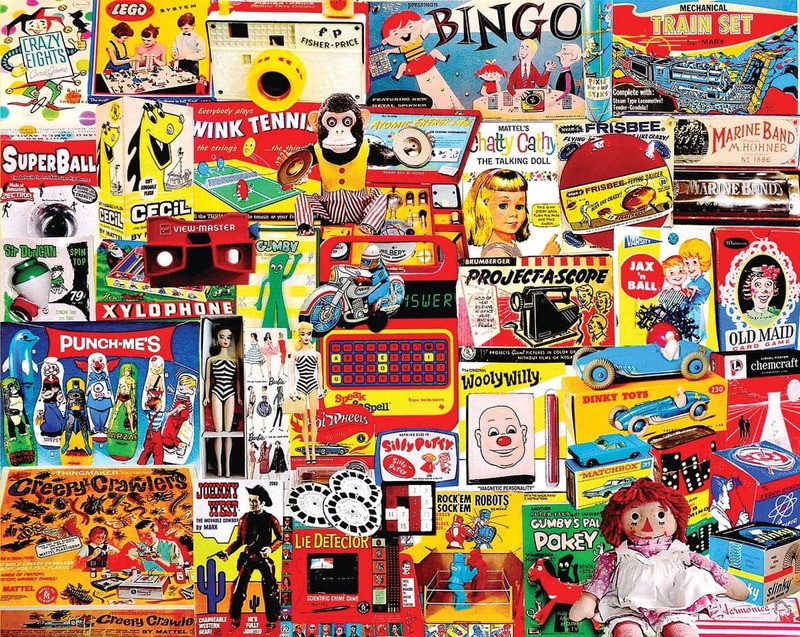 Trading puzzles has been a great way to keep our collection fresh and continue to keep our kids interested in putting these together with us. My only gripe with puzzles is where to relocate them when we need to eat at the table. We also happen to have a, “helper,” in our house who likes to flip puzzle pieces when her mother is ignoring her (we love you, Lulu the Cat!). I thought a mat might be a great way to discourage our helper and could be a quick way to clear the table for the dinner hour! 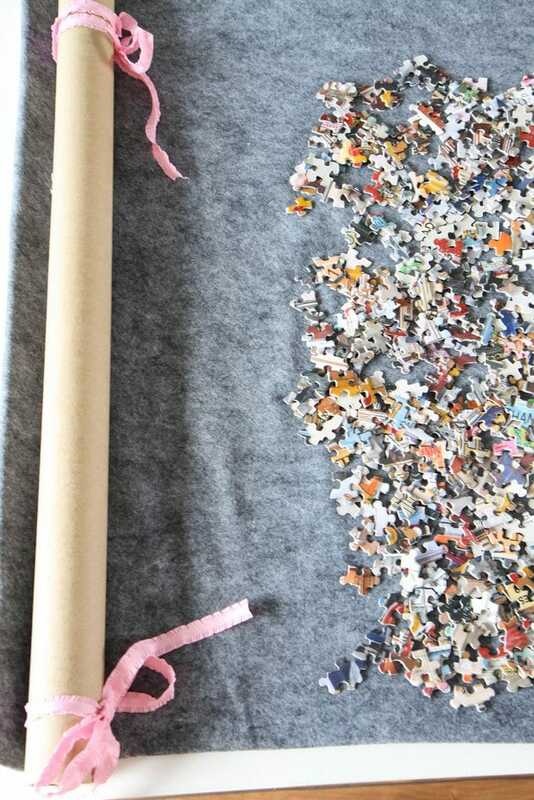 Let’s create this easy no-sew roll-up jigsaw puzzle mat! 1. 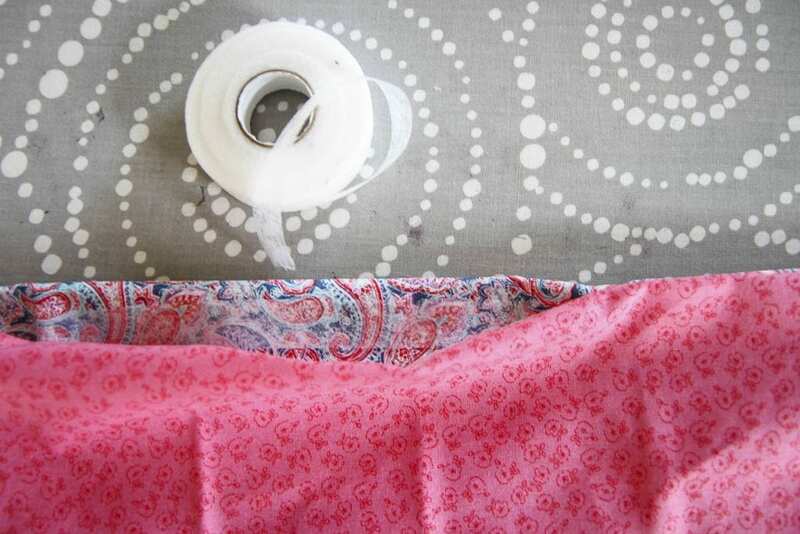 Much like our reversible seat cushion project, we are going to begin by lining up the two fabrics with the right-side of the fabric facing INSIDE towards each other. That means the wrong sides will be facing out! 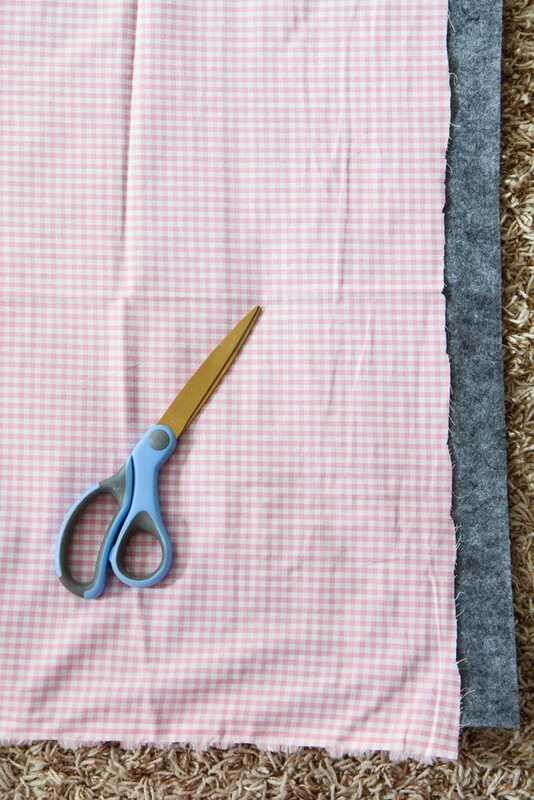 Trim your fabric and felt to the same size. Remember, this mat can be ANY size that you want. If you want it be the size of your kitchen table, for example, measure that first and use this as your guide for creating your mat. I created a generous mat for our large puzzles! 2. 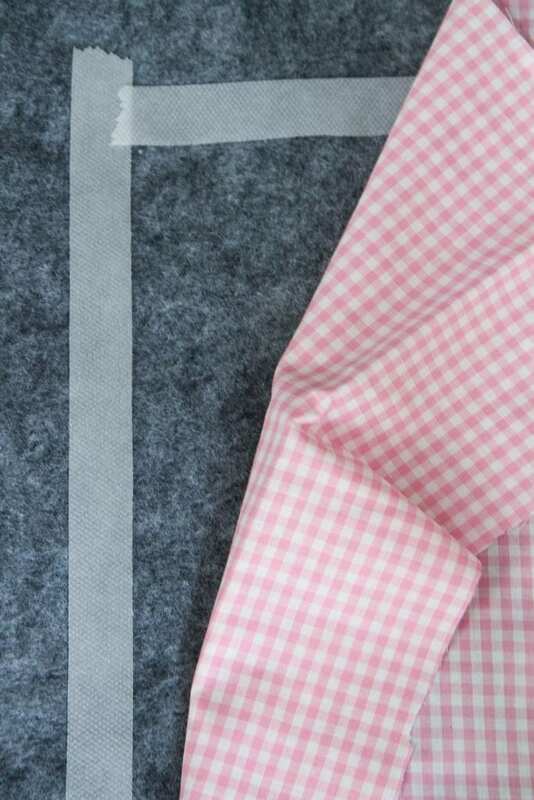 Once your fabric has been trimmed, use your fabric tape and line all the sides , making sure to leave an opening so that you can turn the mat out once you have sealed all the seams. 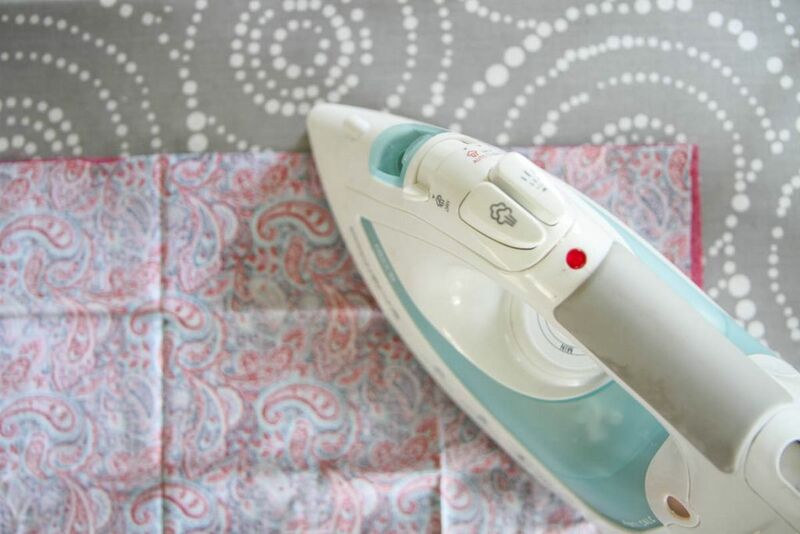 Using a very hot iron, carefully and slowly, begin ironing to seal the seam (you can see another example of what sealing this seam looks like over here!). Typically doing this requires pinning, but I did find that the felt held the tape in place and made it an easy project to do without pinning. Do this along all the sides (make sure you left that opening to turn it out!!) until the two pieces are fused together. 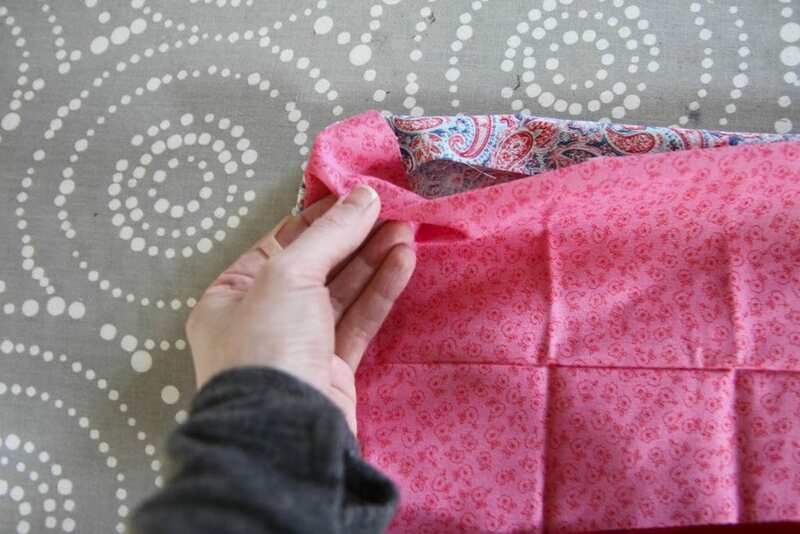 Carefully, turn the right sides out and then finish by sealing that last opening with fabric tape or a little fabric glue. 3. 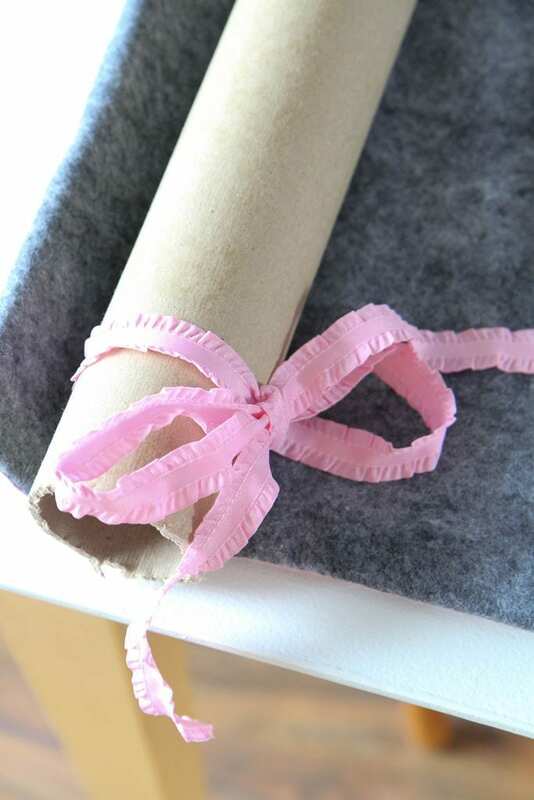 Trim your cardboard tube to the length of your finished mat. If you want to paint this, you can! I finished each end with a little tied ribbon that can be used to tie the entire mat up when we are storing it. 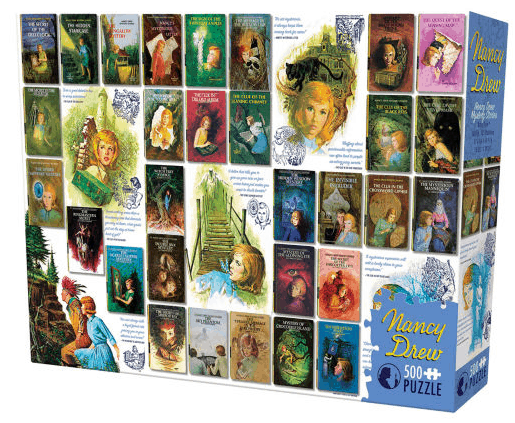 As you can see, you can roll up those puzzles (take your time and roll carefully!) when not in use. 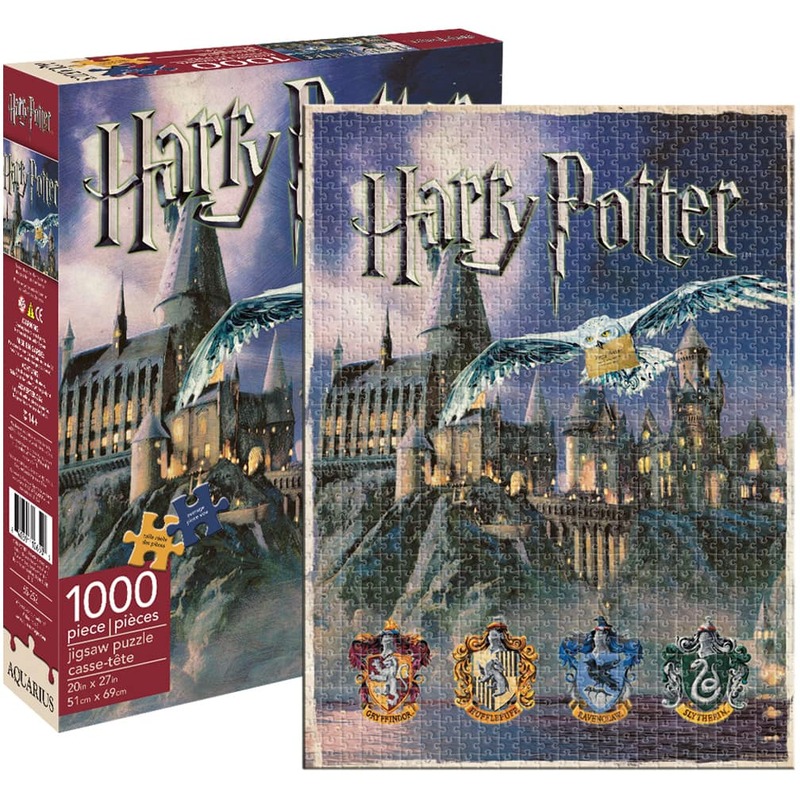 Please keep in mind, it is not recommended for long-term storage since it can damage your puzzle pieces, but it is recommended for a quick relocation so you can use your table when you need it. I am so excited to break this in and I’m guessing it is going to be a smart item to take when we rent our summer cottages too! 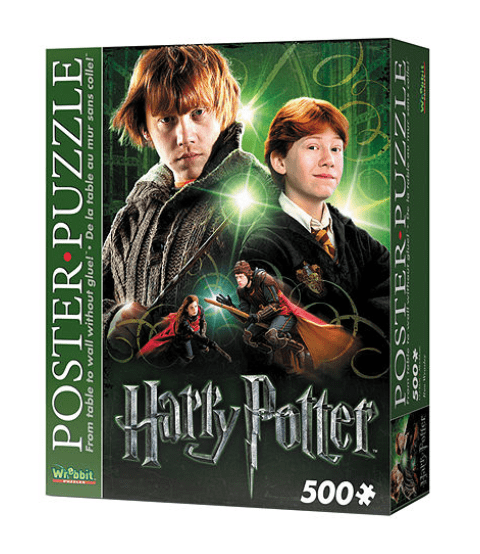 Looking for a few great jigsaw puzzles? Here are a few of my favorites! 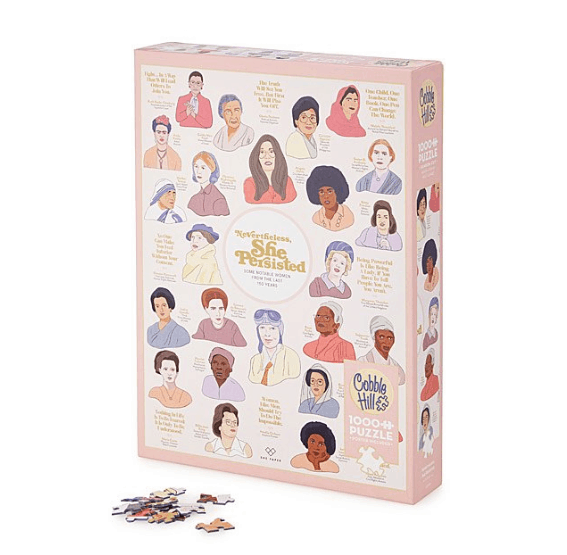 PS- Seriously, start a puzzle exchange with your friends. You won’t regret it! 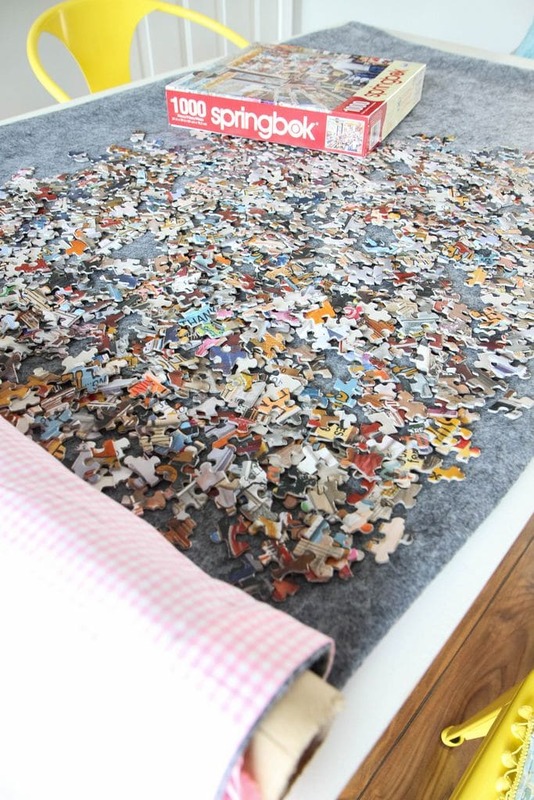 Looking for ways to store those jigsaw puzzles? This strategy works so well at our house! When I was a kid one of my favorite treats in the world was an apple pie that they served at a fast food restaurant in town. The flaky crust in a pocket filled with the warm apple filling was the perfect comfort food to me and it always seemed to be the perfect amount to satisfy my sweet tooth craving. Clearly, I am no food snob when it comes to the humble pie whether it is from a box in the grocery store or a local diner. Just give me ALL THE PIE. It should come as no surprise that my children adore pie like their mother so I wanted to create a treat for them that would be deemed one of the coolest after school snacks I have made to date. Of course, we are creating the only pie worth making, at least according to our household. 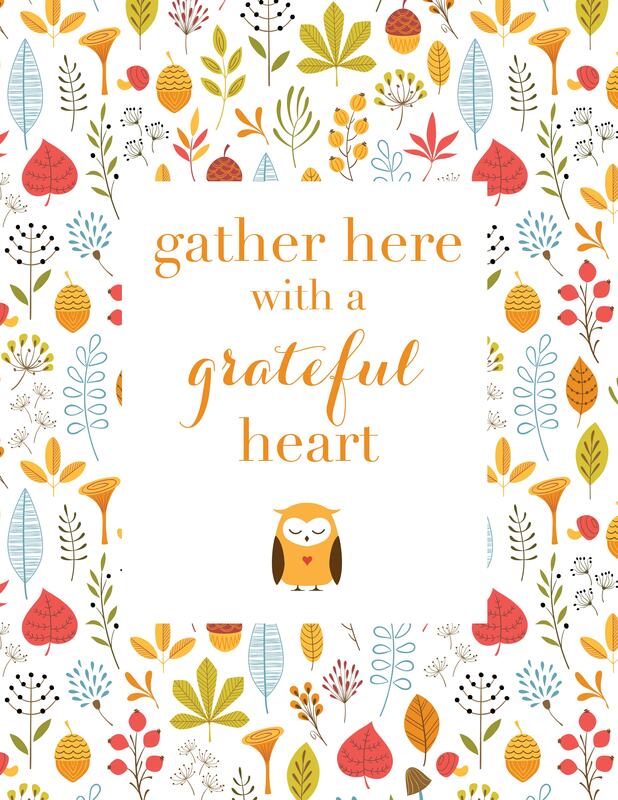 For us, it is the incredible pumpkin pie that truly brings together the flavors of fall in every delicious bite and makes it feel like Thanksgiving… even if it really is just another boring Monday. Of course, I have a little secret in the refrigerator now that I am a busy mom. 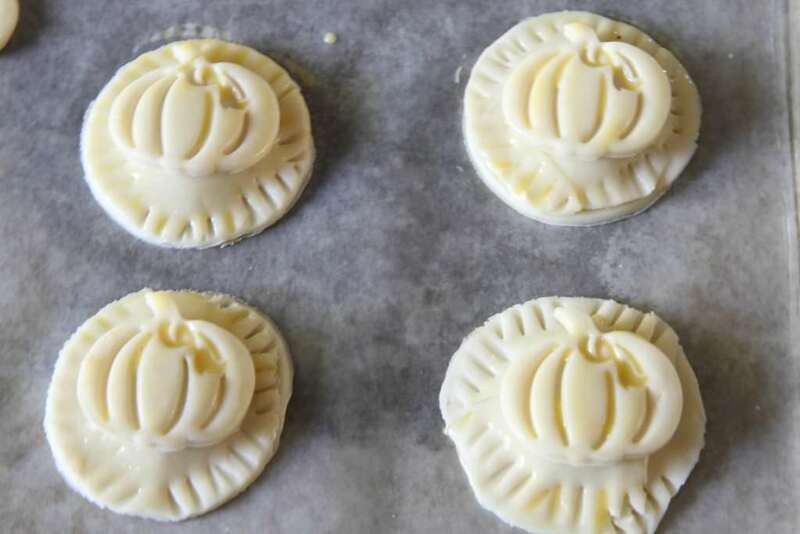 These little treats couldn’t be easier to prepare thanks to store-bought pie crust that saves me a lot of time on treats (and dishes). 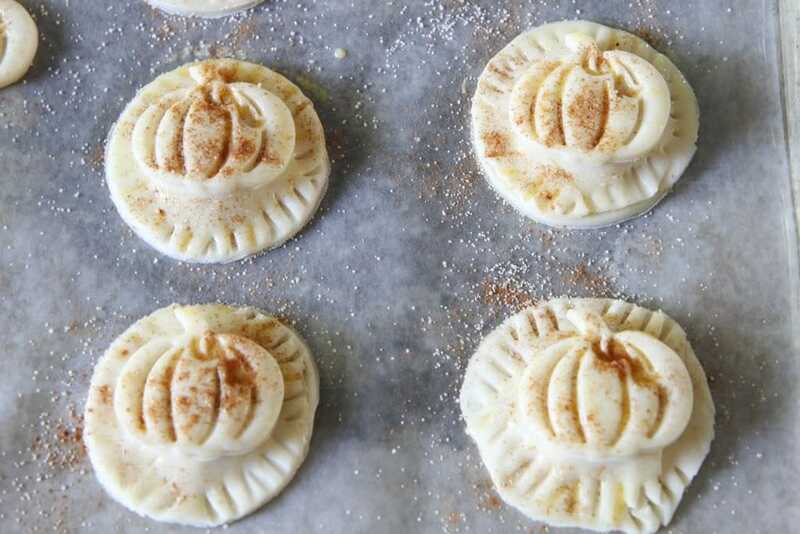 With a little pumpkin shape placed on top of each delicate pie and dusted with cinnamon and sugar, this treat looks impressive, but can be pulled together in a matter of minutes. 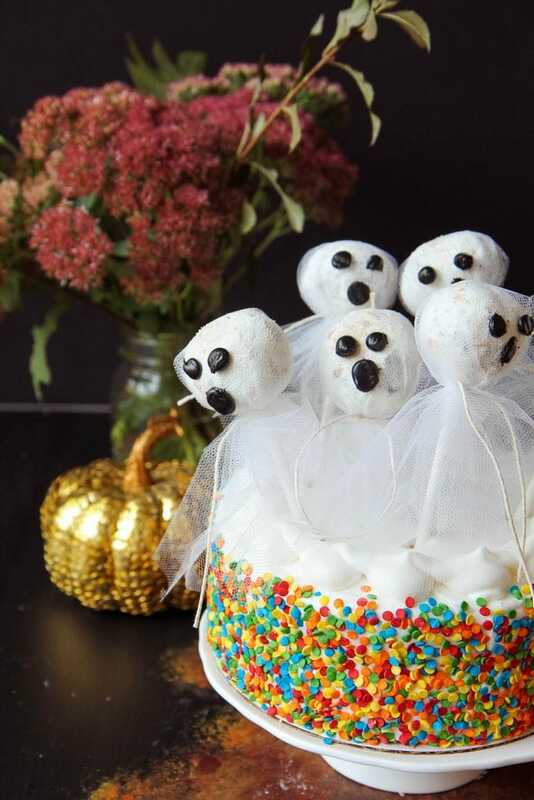 These would be just perfect for a fun Halloween lunchbox treat or to celebrate the season any other day of the week! Best of all, since the filling calls for just a cup of pumpkin puree, it is the perfect way to use up a leftover can that might be taking up space in your refrigerator. 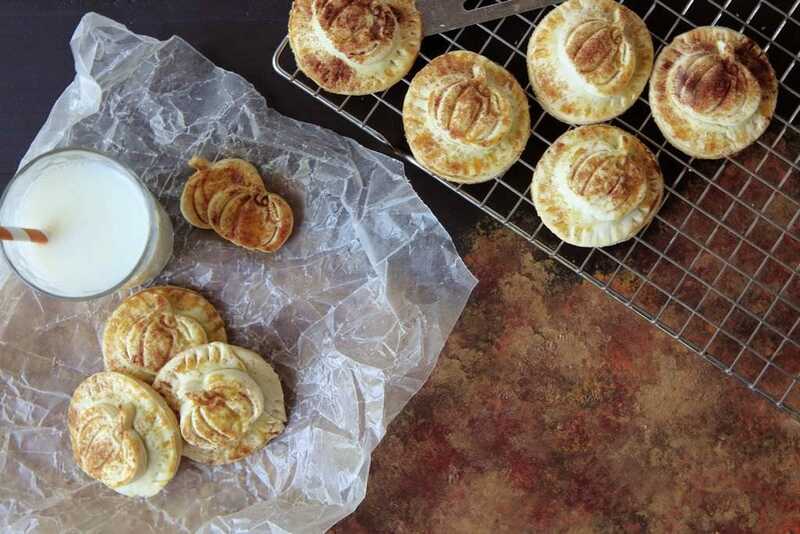 If you haven’t made a hand pie before, it couldn’t be easier. You can use a floured cup as a circle cutter or a biscuit cutter to cut out your circles. 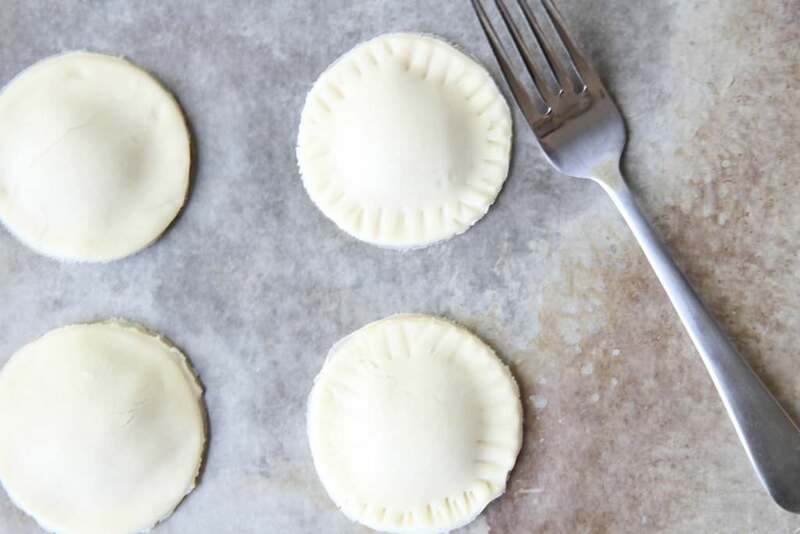 Add a tablespoon of your filling to the tops of each of your circles and then add an identical circle on top to pull the pie together. To make sure everything is secure, I seal and add pretty scores with a fork. Want to make it even easier? Can I recommend this handy gadget? It’s amazing for making lunchbox sandwiches too! I promise, you will get a lot out of it! 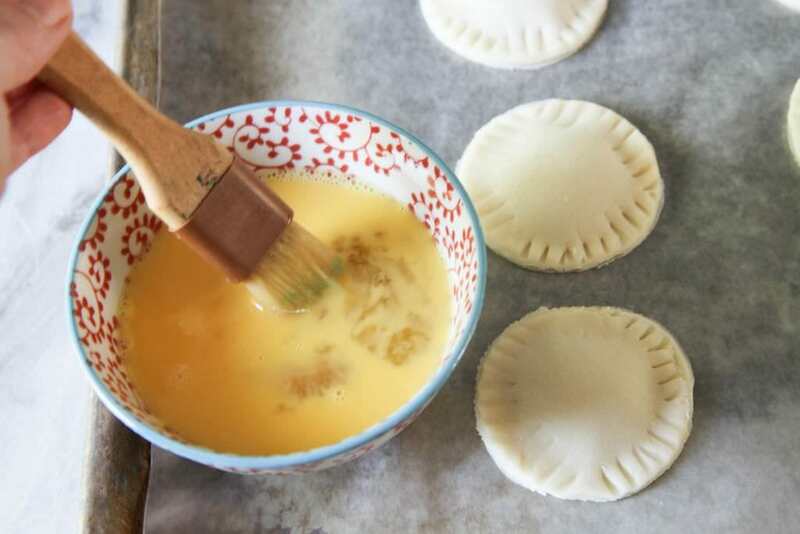 To add a little decoration, I love to buy seasonal decorative pie cutters that add a little detail to the edge of my pies, decorative edible touches to a dessert table for the holidays, and happen to add the perfect detail to these hand pies. To secure these adorable pumpkins, I brushed the pies with an egg wash and then rested this on top, brushing again lightly with the egg wash. It adds a beautiful touch and shine to the crust and makes these pretty pies into a little work of art. 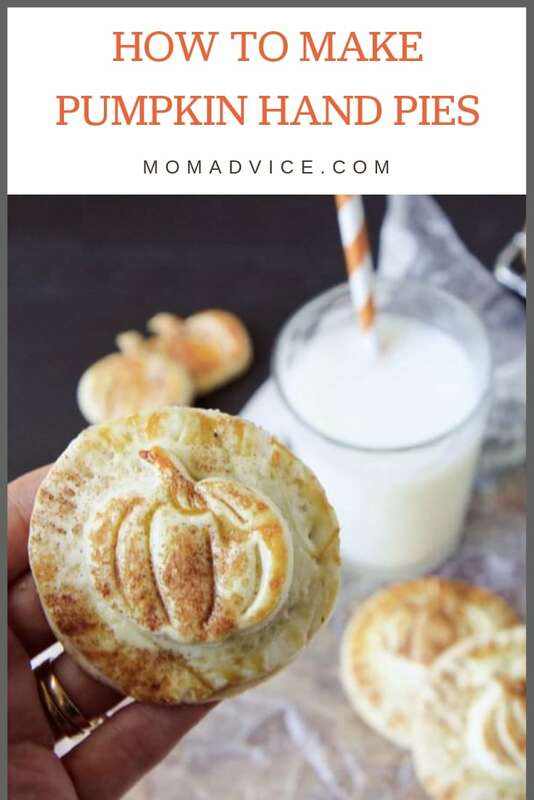 I hope you can share these treats with someone you love this month and I look forward to sharing more fun fall ideas with you on the blog. Looking for a traditional pumpkin pie for the whole gang? 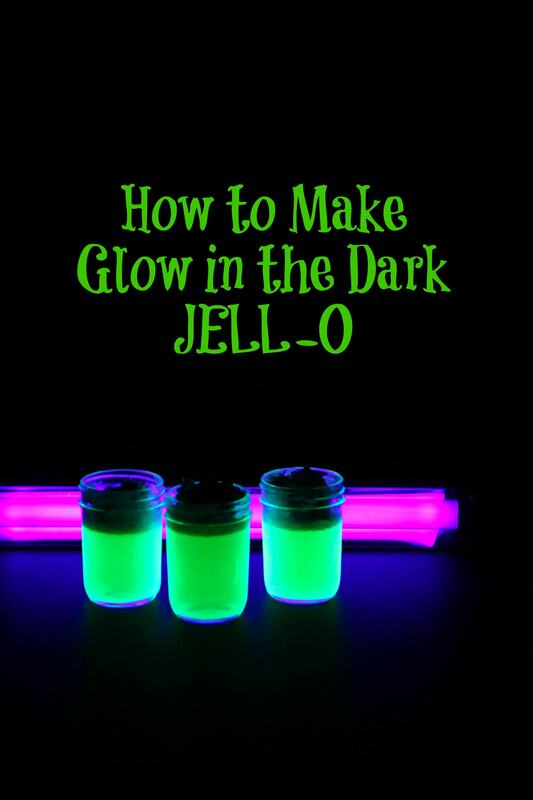 I can’t recommend this tried-and-true recipe enough! Don’t want to make pie at all? 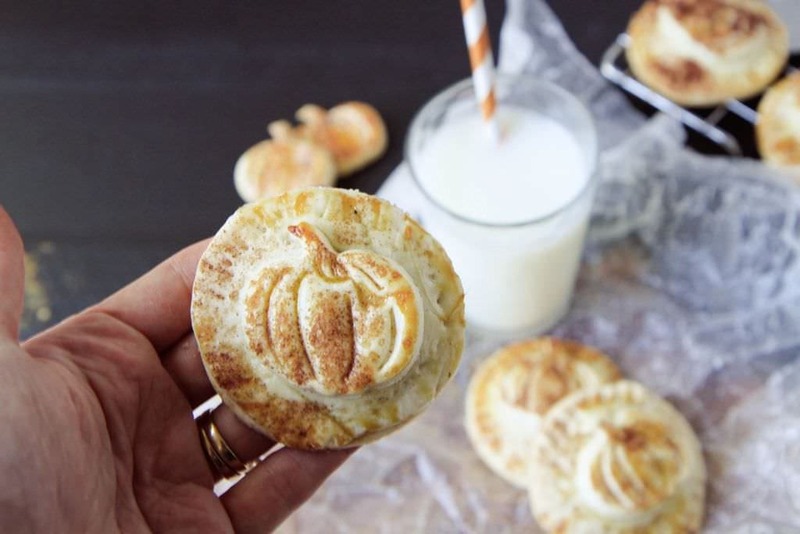 Check out these ideas for decorating those store-bought pies! 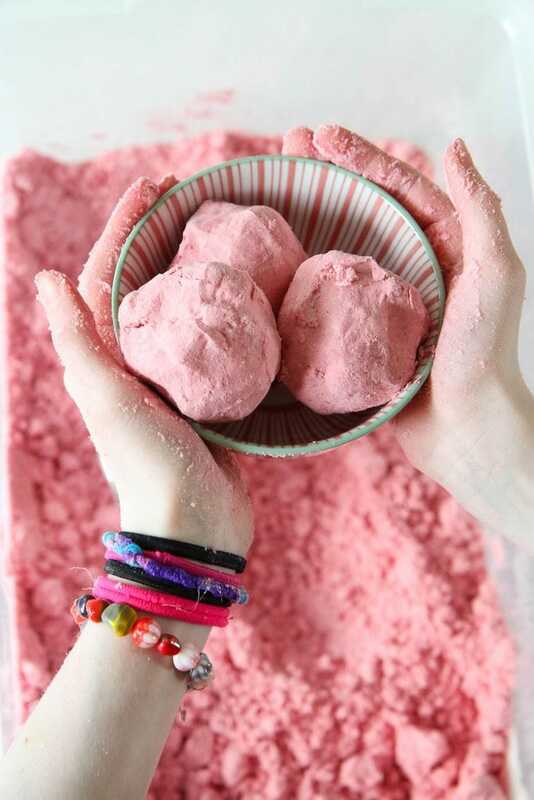 Speaking of more fun fall projects, scroll below the recipe for a few of my ABSOLUTE FAVES!! This fun semi-homemade treat has all of your favorite pumpkin pie flavors in a single size version. 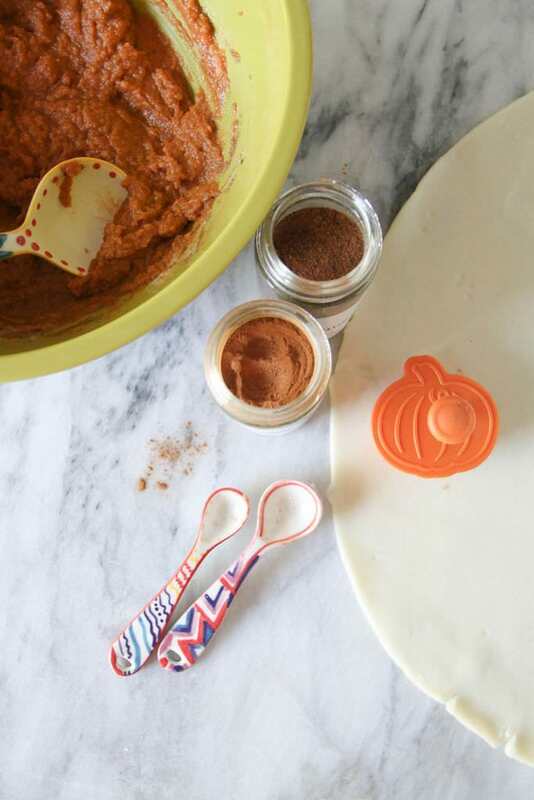 Be sure to snag some fun pie cutters to really make these festive! 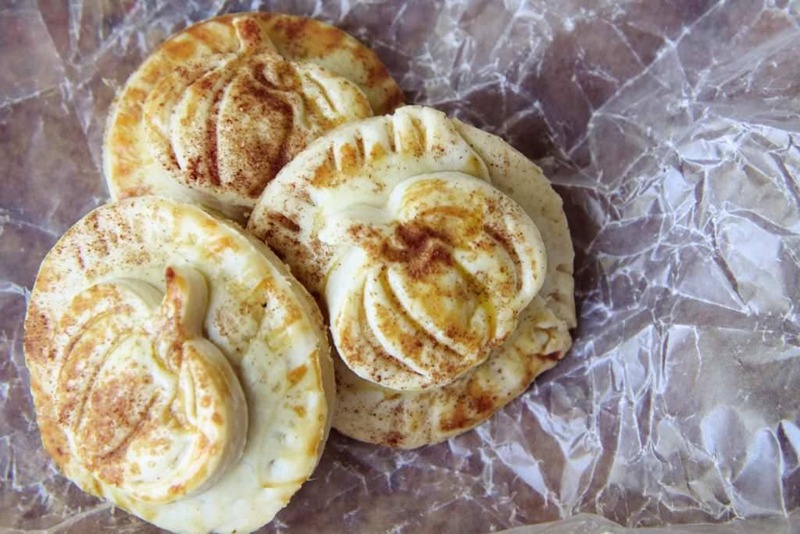 Need to make these gluten-free? No problem! Simply switch your prepared pie crust to a gluten-free version! In a mixing bowl, mix together the pumpkin, brown sugar, spices and heavy cream. Set aside. Unroll your room temperature pie crusts. Using a 2½ inch biscuit cutter or the opening of a drinking glass as your guide, cut out your circles. 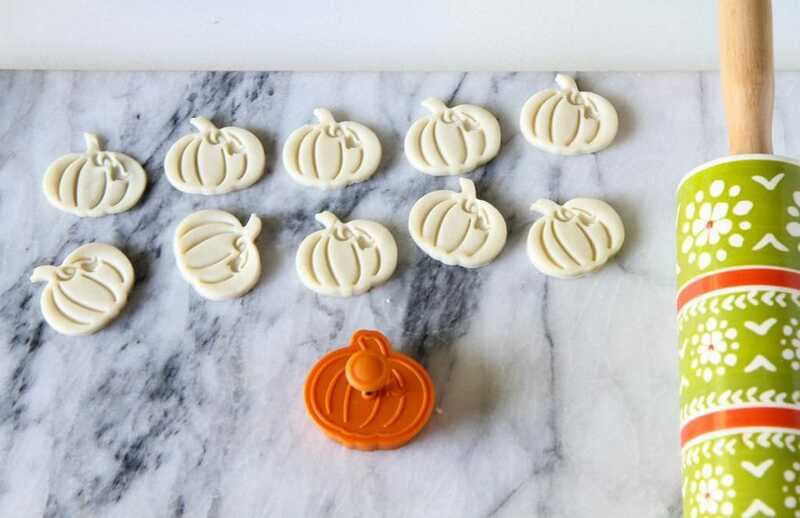 Remember, however many you can cut out of your first pie crust, you will want to try to do the same amount on the next pie crust to create your toppers. The amount you can get will depend on your circle size that you are punching out. 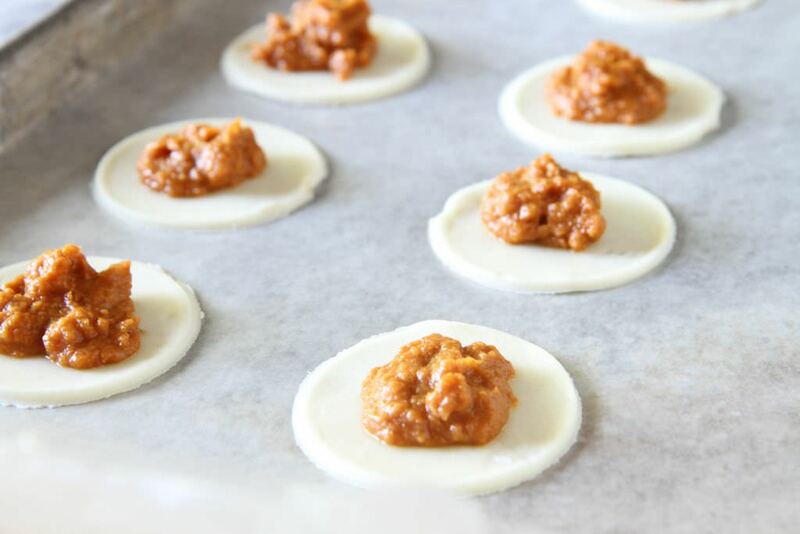 Place your first half of your circles on a parchment paper lined cookie sheet. Add in about a tablespoon pie filling, then place a dough circle on top. Press together with your fingers to seal them. Then use your fork to seal and create a pretty edge to the pie. Whisk one egg in a small bowl and then brush on top of the dough. Finish with a sprinkle of cinnamon and sugar. Bake for about 20 minutes or until golden brown. Serve with a big glass of milk or a dollop of whipped cream for a sweet treat! 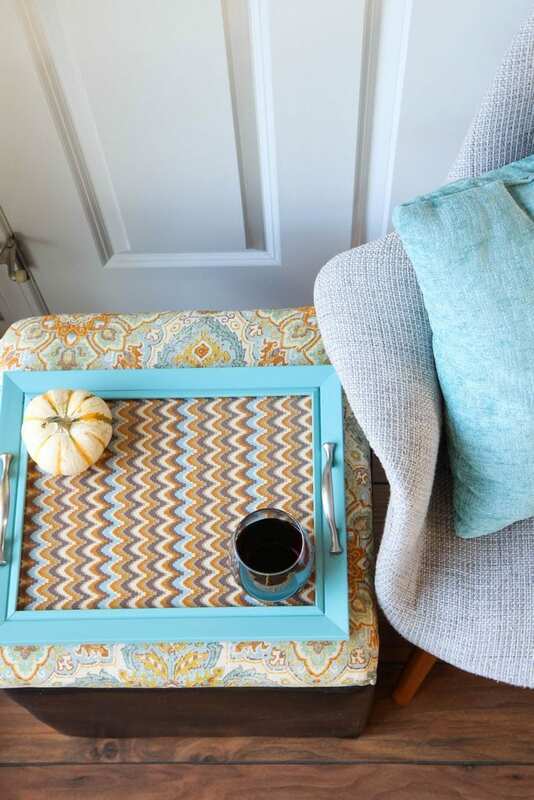 here are a few of our most popular fall projects on the site right now! 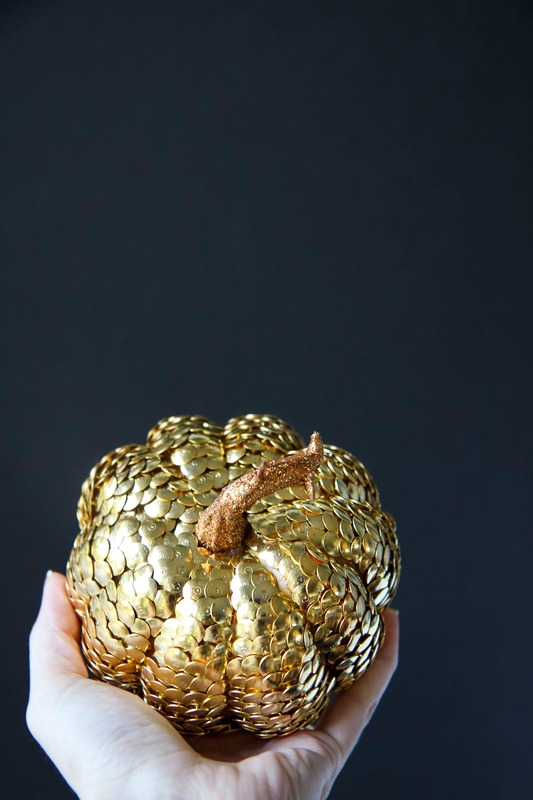 These gold pumpkins are the perfect craft for autumn, even if you aren’t crafty. 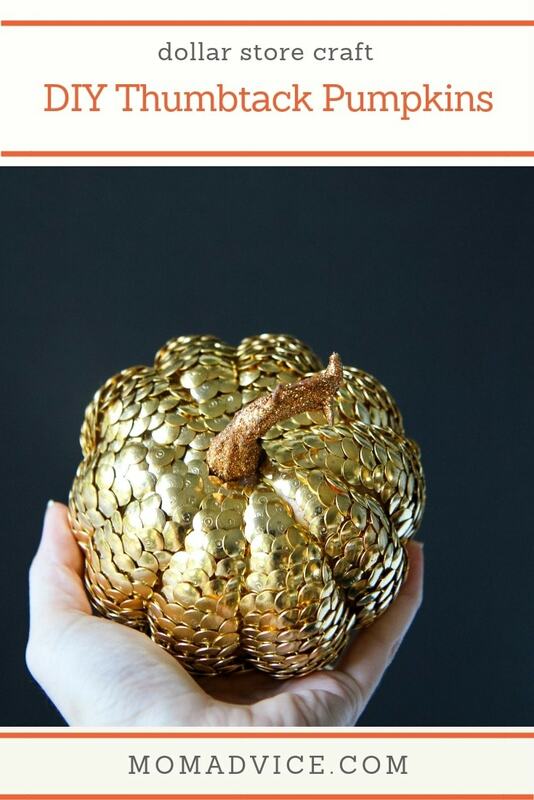 You will love these DIY Thumbtack Pumpkins for your home! 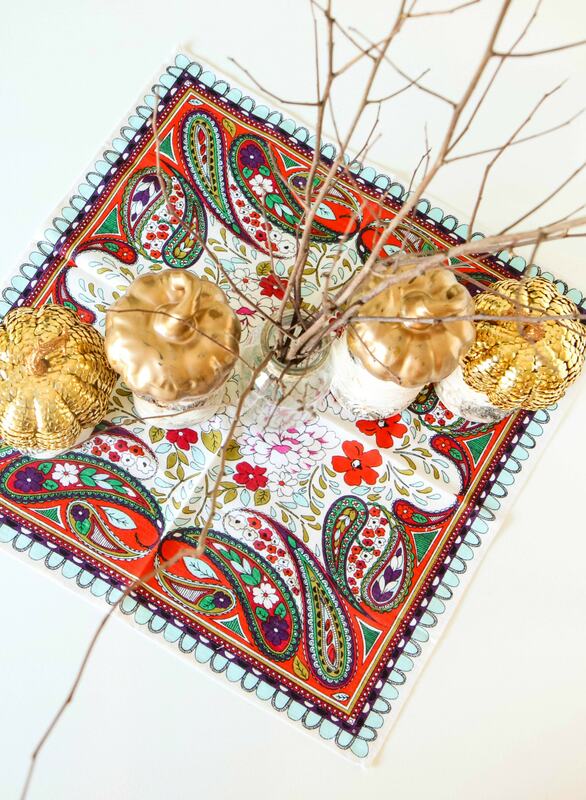 I don’t know about you, but I am always looking for new ways to decorate the holiday table that are festive while staying easy on the budget. The gold trend has really been catching my eye this year so I wanted to create something beautiful and gold that anyone can do, no matter what your craft level. 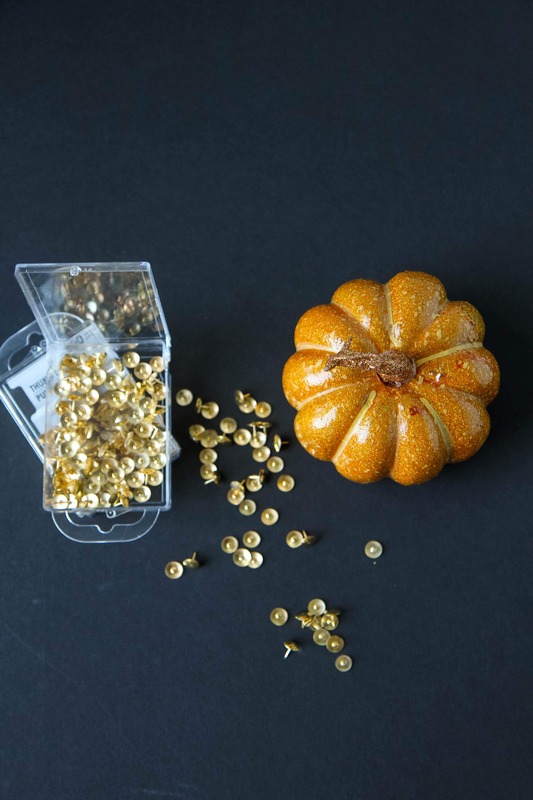 Today’s tutorial is for a decorative thumbtack pumpkin that requires just two items for a fun and festive touch to your table. Going along one of the ridges of the pumpkin, begin inserting thumbtacks, starting at the very top and working your way down. You will want to make sure that they overlap just a bit to create a feathered effect on your pumpkin. You do not need to go to the very bottom, just enough to cover it so that if the pumpkin is placed on a pedestal or candlestick holder that you can’t see the plastic bottom. This row helps to anchor your ridge as you place the thumbtacks in. Right next to that row, again overlapping from the side and down the row, begin placing thumbtacks in the same way, repeating this process until you have covered the entire ridge. Once the ridge is filled, just check and make sure there aren’t any holes in any places and fill, as necessary, with additional thumbtacks. Begin in the next ridge, just as you did with the first, giving just a little room between those ridges so you can still see that pumpkin shape. Now repeat this process again and again, until you have filled the entire pumpkin. This small pumpkin took 700 thumbtacks, but you may need more or less depending on how tightly you are overlapping your thumbtacks. Isn’t this absolutely beautiful? Who would ever have guessed that it costs around $5 to make! I made two of them and wanted to show you a fun way to dress up your holiday table with these. I spray painted two other faux pumpkins and then roughed them up with a little sandpaper. 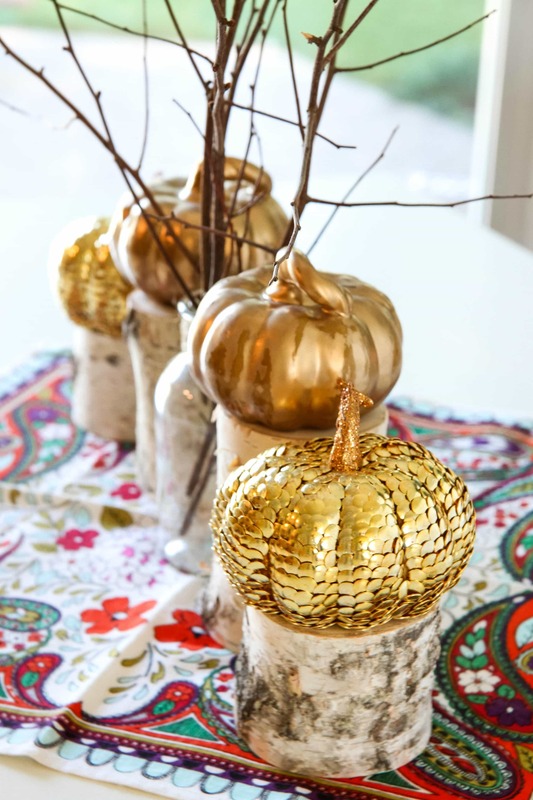 I filled a glass bottle with branches from our backyard to center these and then purchased these faux logs from my local craft store in two different heights to place my gold pumpkins on. I love all the variations on height and the different textures in this budget-friendly centerpiece. 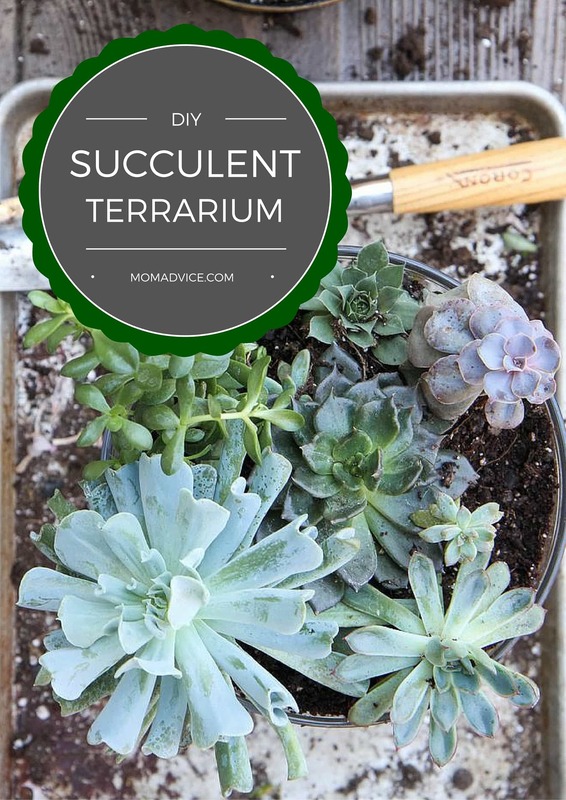 I hope you find this idea easy and inspiring! Use your own creativity to create a few beautiful pumpkins of your own. 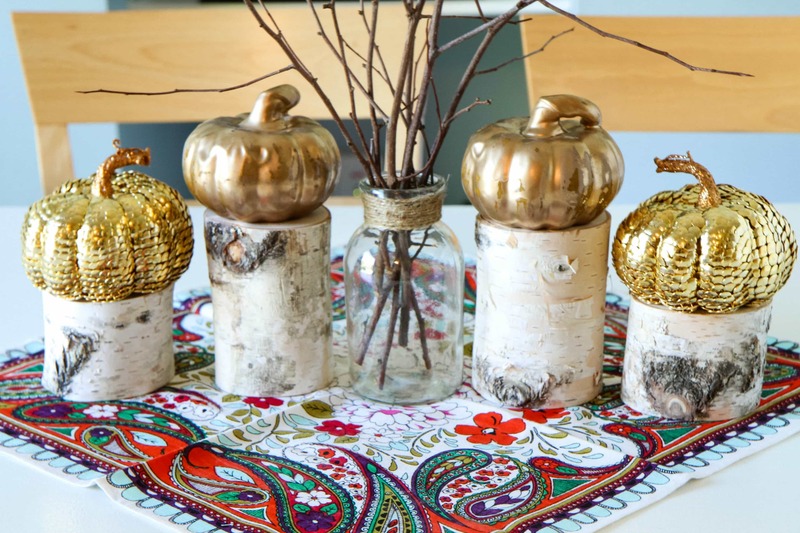 Speaking of autumn crafts…here are a few tutorials you might enjoy! 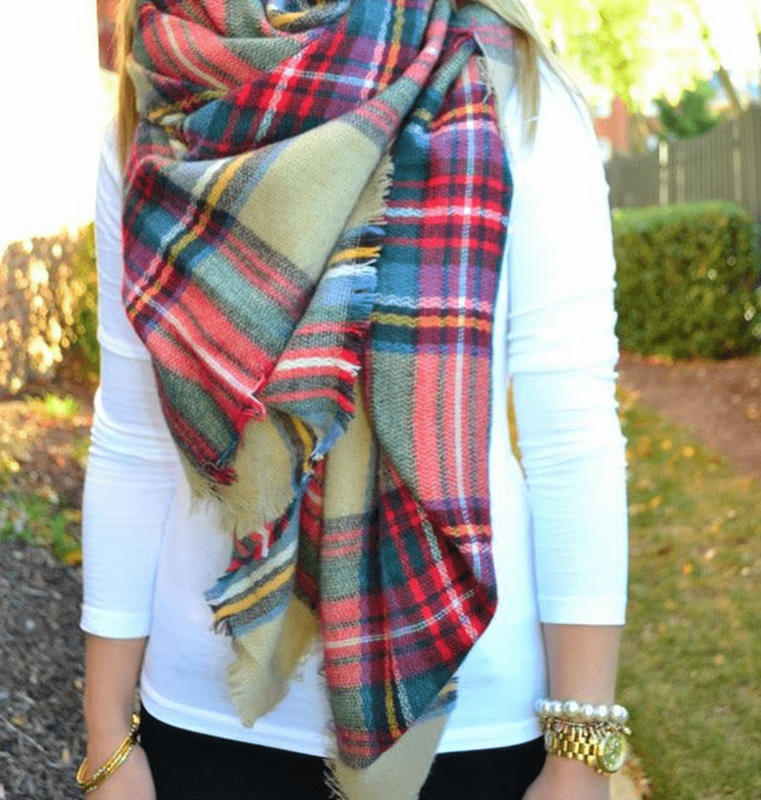 Blanket scarves are so trendy and an easy no-sew DIY. 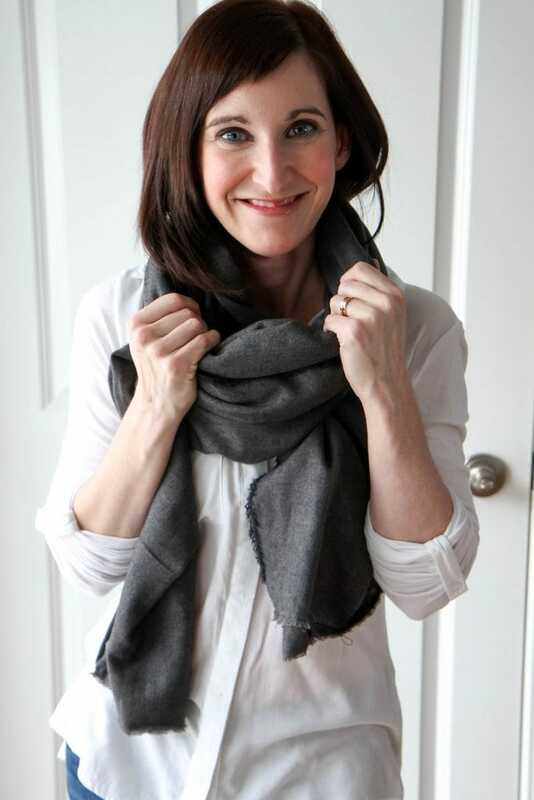 Check out this tutorial and ways to style your scarf for these cooler months! 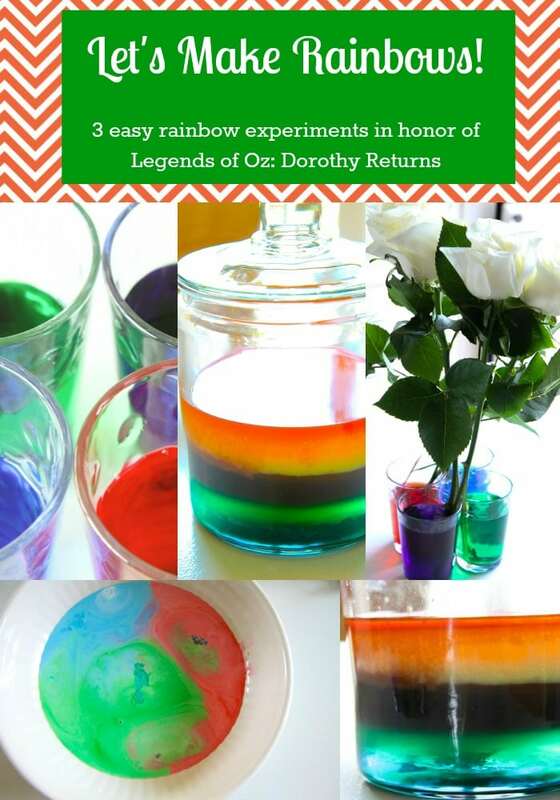 Sign up for my free weekly newsletter for loads more ideas! 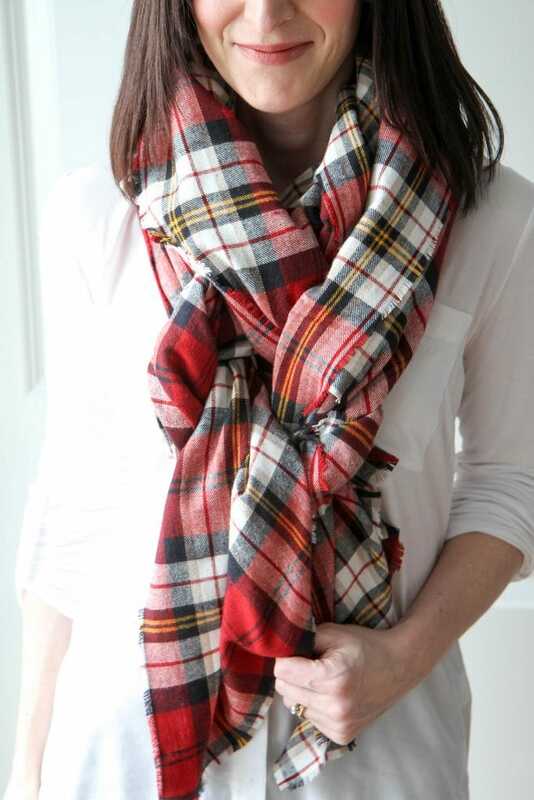 I am madly in love with blanket scarves. My obsession started as all good obsessions do. It began on Pinterest. All of these fabulously fashionable women were rocking these gorgeous scarves, but they were out of my price range or lacked the fullness & beauty that was captured online. I decided I wanted to make some for my minimalist wardrobe because it would add so much. 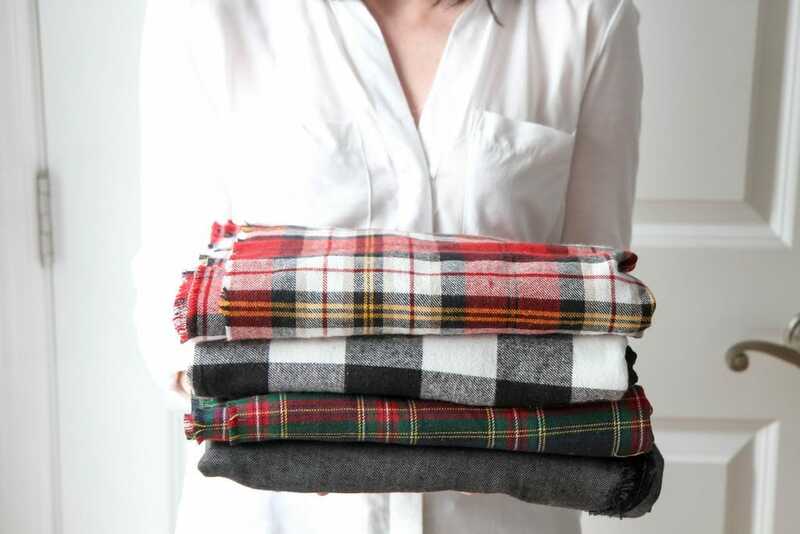 Did you know you can make a blanket scarf with no sewing skills required? Let’s begin by taking a peek at the coveted $44 Zara scarf (that sells out in minutes, not kidding). I want to zoom on in it so we can take a closer look. The thing I want you to see is that the edges are frayed on their version too. You can achieve that with a little flannel and pulling. 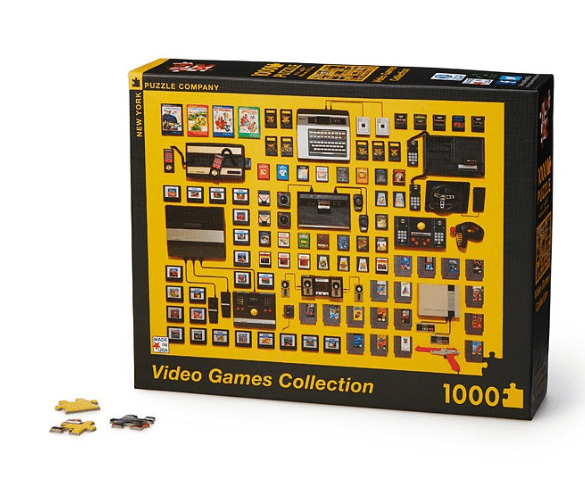 The best part is that this version will cost you quite a bit less than $44. I am going to make a big stack of them to show you and then I am going to show you some fun ways to tie them. 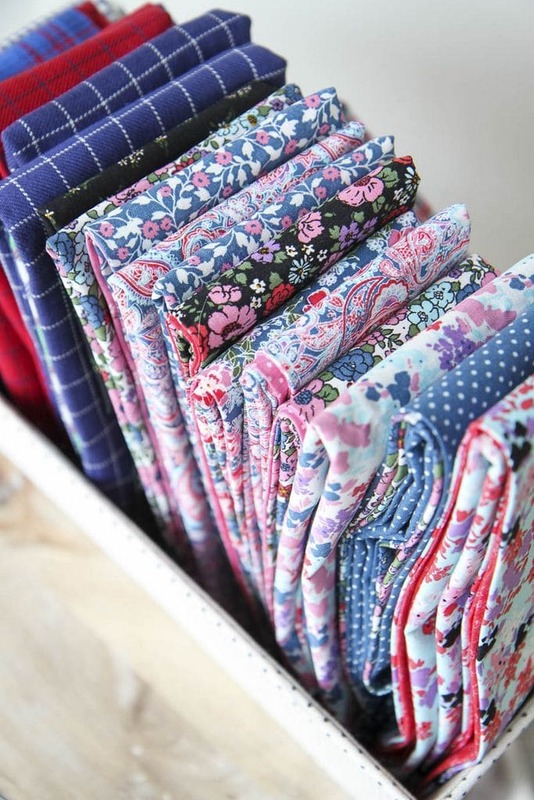 The first thing you will need to do is shop for your fabric which is so much fun. I went to a few shops to check out fabric and ended up finding it at Jo-Ann Fabrics. 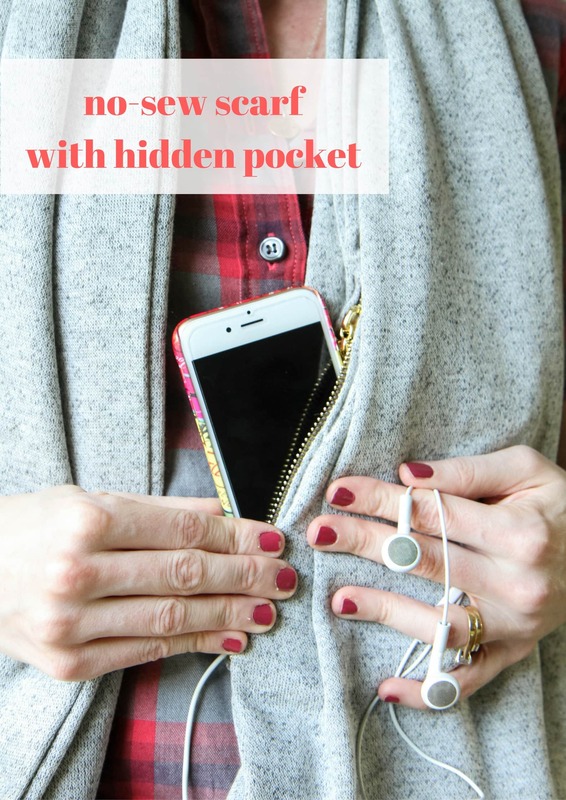 Head over here (a great coupon affiliate of mine!) and check to see if flannel fabrics are on sale. If not, that same link will provide you a 40% off coupon. 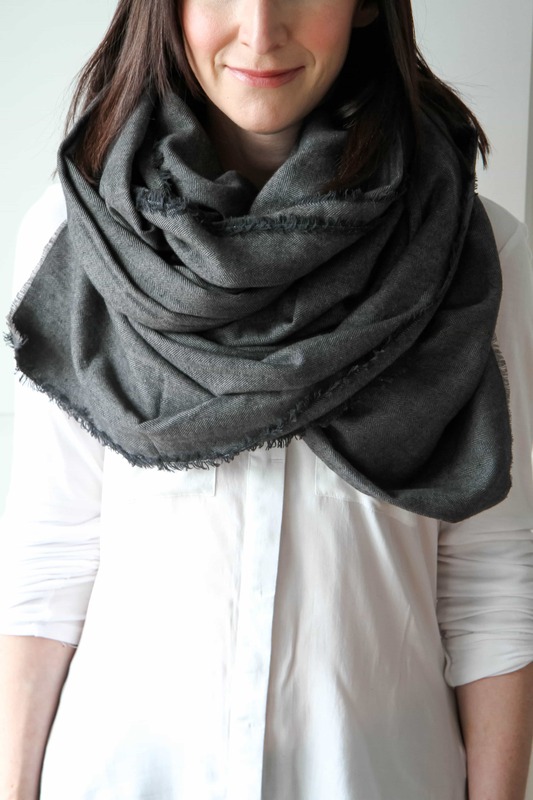 You will DEFINITELY want to use this because it makes these scarves budget-friendly. Don’t forget your coupons. 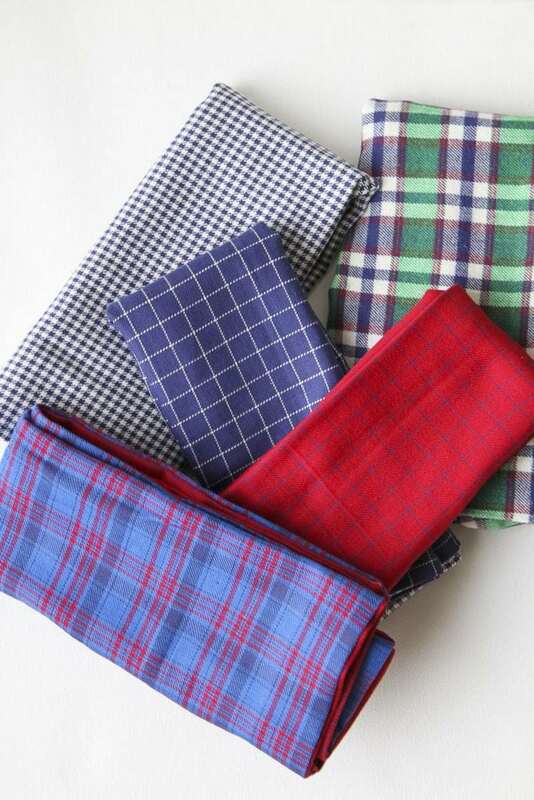 Head over the Fashion Flannel…at least that’s what they call it in Mishawaka (oh-la-la!). Select your favorite patterns, tell them the amount you need, have them tell you they don’t have that much on a bolt, go grab another one, try again… Be annoyed. Decide to do two sizes because you want you what you want, that’s why you brought it up there. I am going to show you what a 2 yard scarf looks like and then I am going to show you what a 2.5 yard scarf looks like below. I love them both for different reasons and what you can do with them. The price (with no sales or coupons) is $8.99 per yard. That’s why it is great to see the two version (for cost-savings) and also really great to bring a coupon to save a bit on the fabric. I wouldn’t recommend anything more than that or your scarf will choke you and you will die from scarf blanket suffocation. It will be all over the headlines. They will be laughing at you in those ridiculous segments on the radio where they try to shock you at the stupidity of Americans. Your family will miss you. It would all be very tragic. If you would prefer to shop online, I love to check over here for flannel by the yard. SO MANY great choices!! 1. 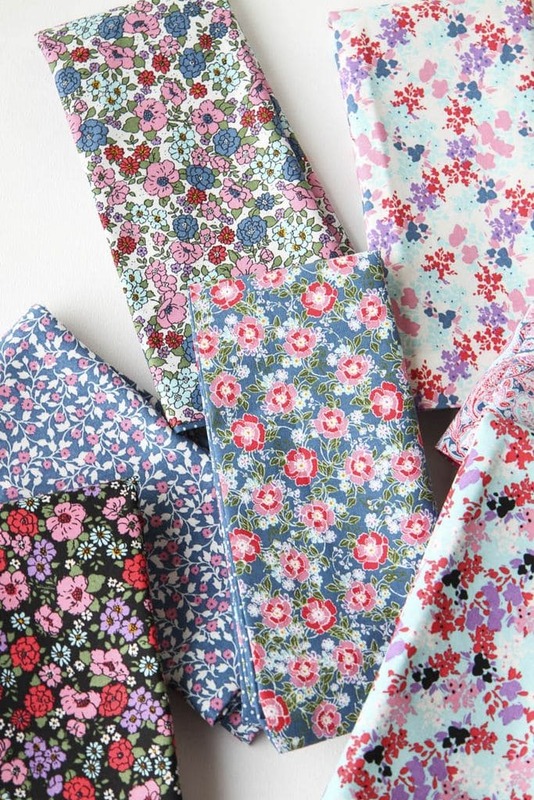 Purchase 2-2.5 yards of flannel fabric (make sure the flannel printing is on both sides). 2. Using the patterned flannel edge as a guide, trim the edges of each side of your scarf with a pair of sewing scissors (these are what I have) to expose the edge. 3. Pulling out threads, begin fraying the edges of the scarf. 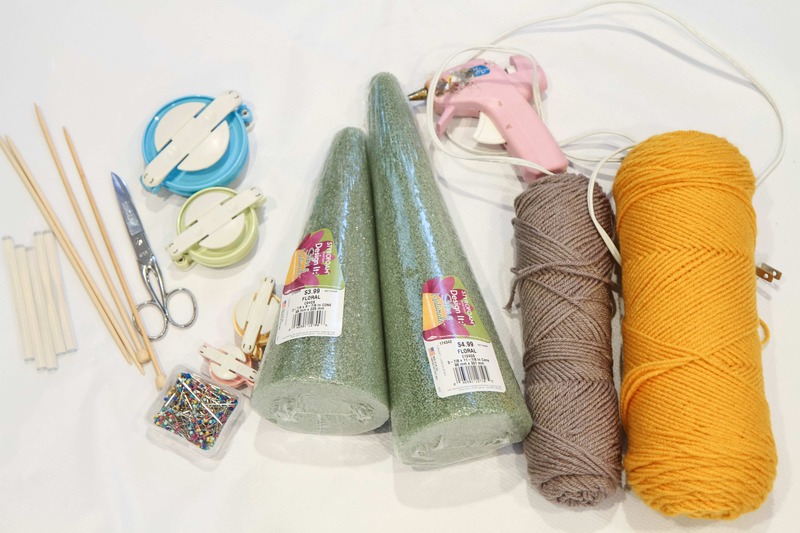 If you are struggling to grab a thread, don’t be afraid to use a seam ripper. Keep doing this until there are no loose threads and you have a beautifully frayed edge. Repeat on each side of the scarf. DONE! This is what TWO YARDS of fabric looks like. You can see that it has a lot of fullness, but is not as long or as much to tie or knot around. Do you want to see how to tie it to look like this? 1. 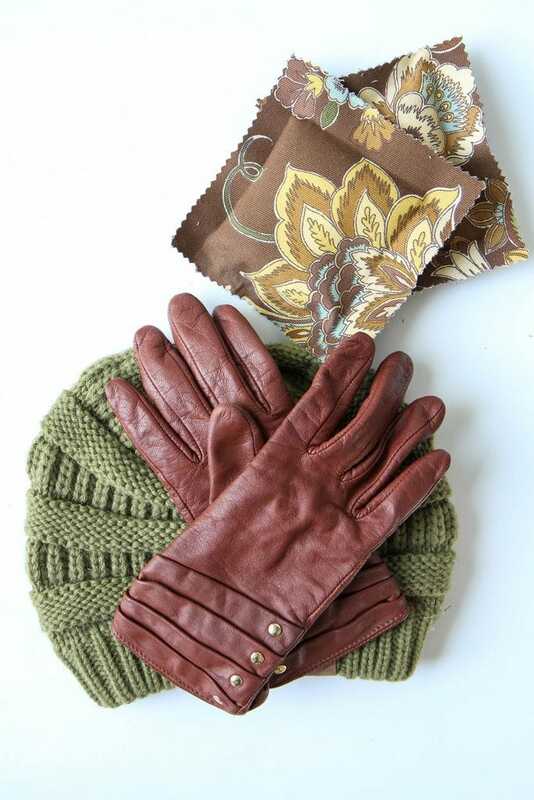 Fold the scarf in half, lining the edges up evenly. 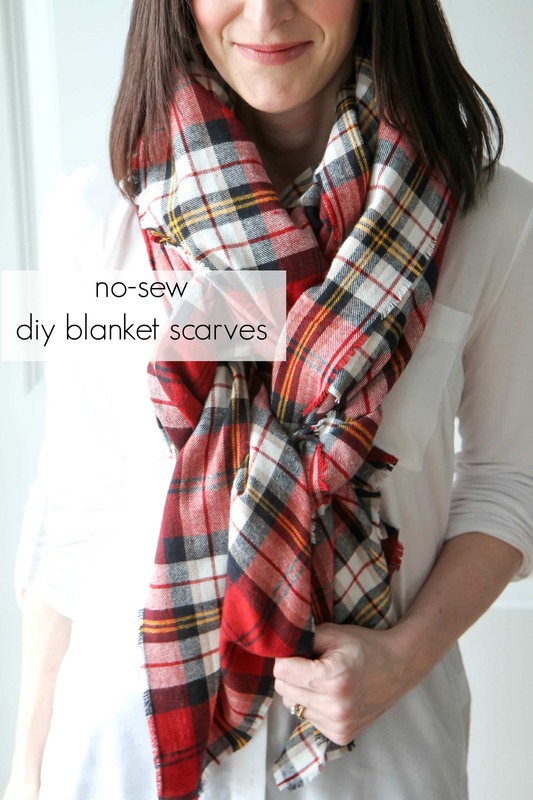 This creates more of a square blanket scarf versus doing it on an angle. 2. Make sure one end is shorter than the other and tuck it up over your shoulder. 3. Loop around once with the long end (or possibly twice depending on your neck size!). 4. Fluff and puff. Fluff and puff. Here is the same size, just not puffed up so much. Seriously, cute stuff! 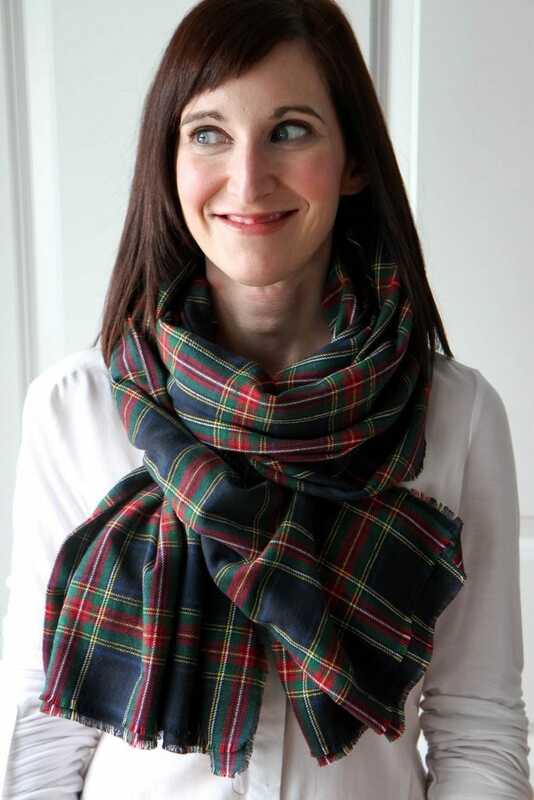 No need to reinvent the wheel…I just headed online to figure out a couple of fun ways to tie these longer blanket scarves. I tried this braided technique on Classy Sassy and really loved it. It is a little more complex than the one above, but it adds a beautiful detail to the styling. This half-tied technique couldn’t be easier and was a cinch to pull together and added just the right amount of fullness to the neckline. Here are a few other blanket scarf techniques I am looking forward to trying! This one is similar to the half-tied technique, but no tying, just tucking. I can do that! 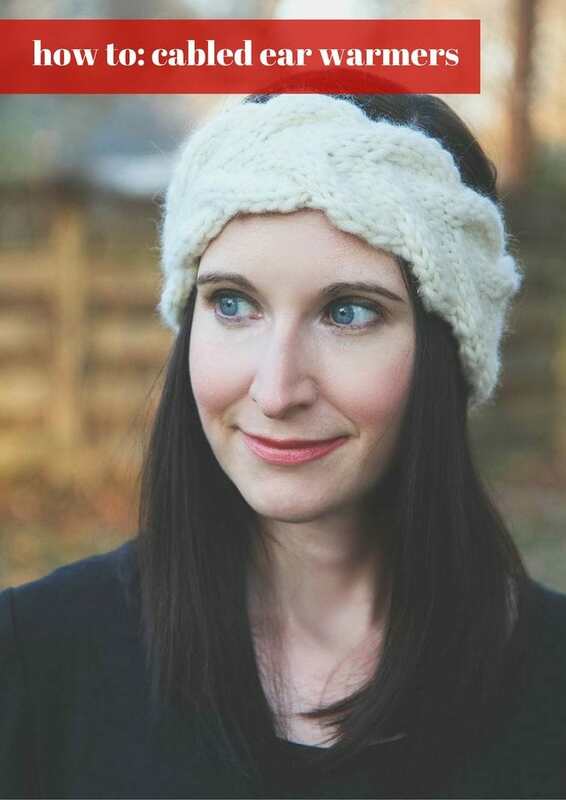 This chunky scarf technique would work really well with a 2-yard scarf so you could let the ends hang. The 2.5-yard one would look great as a poncho or even pulled together with a belt. This poncho style leaves the scarf folded making a smaller poncho version. 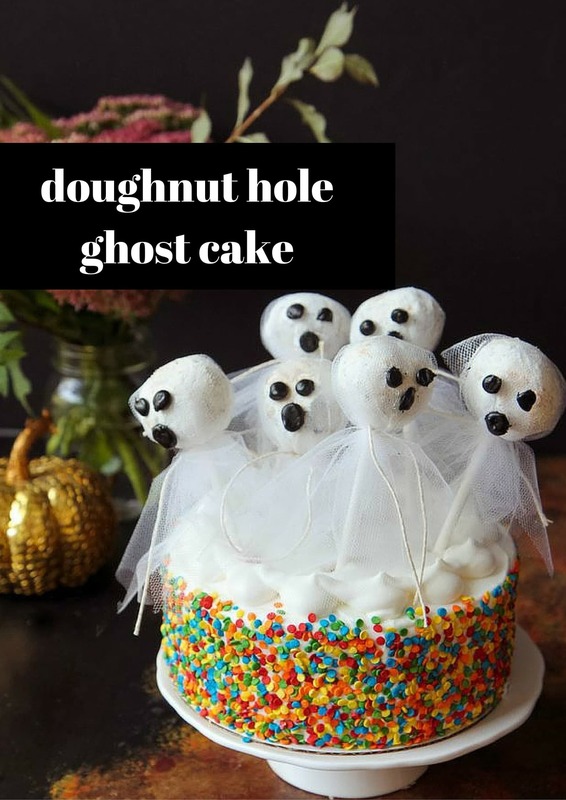 I’m Petite & Want to Make a Smaller Version- What Can I Do? I’m pretty petite, but I know big scarves aren’t for everyone! Shave 6-7 inches off the width on a 2 yard version to make a more petite version of this scarf with a little less bulk or experiment with your own sizing by creating your own custom version. Just cut, try on, adjust. There are no wrong or right lengths- it is what fits YOU or your recipient best! 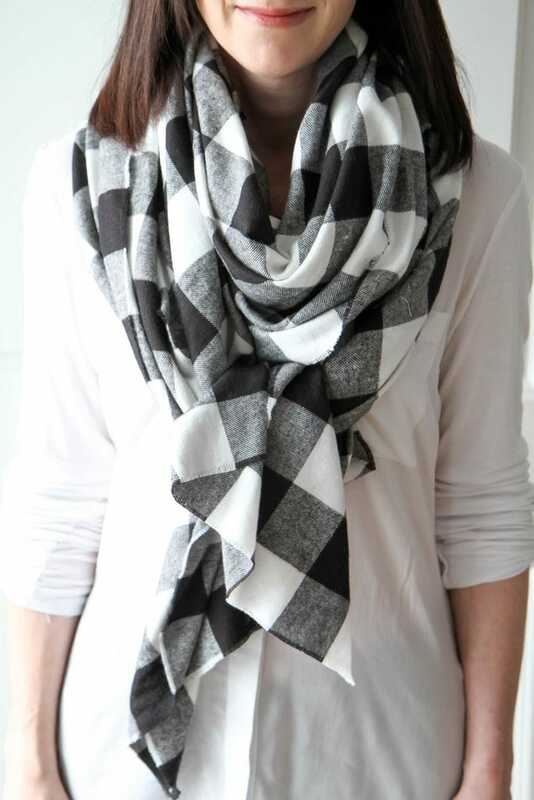 Love this scarf tutorial? 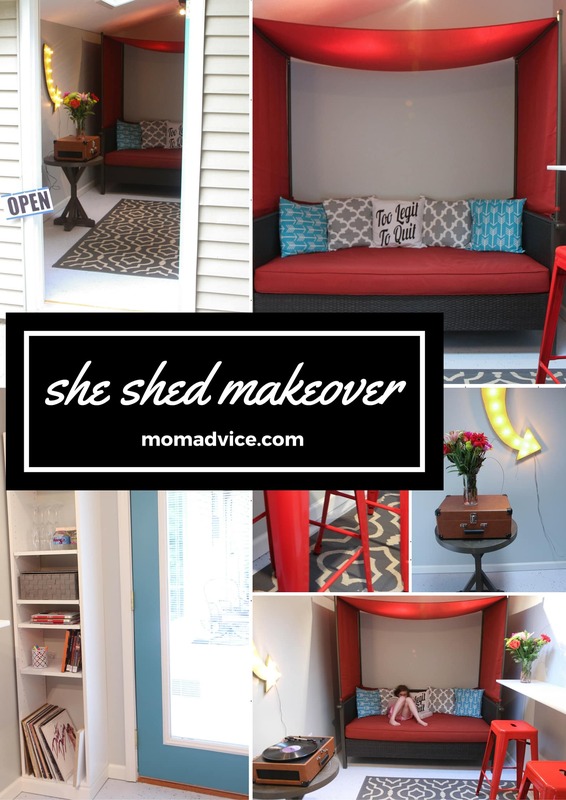 Here are a few other DIY projects I’m proud of! 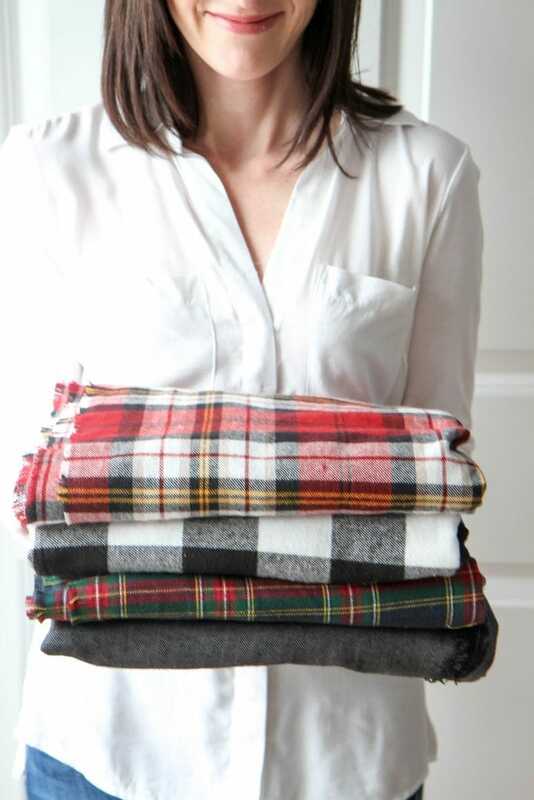 I hope you have a blast making these quick scarves for yourself or for holiday gift-giving. Check out this list of 54 handmade gifts you can make for the holiday season to inspire you even more! Happy crafting! 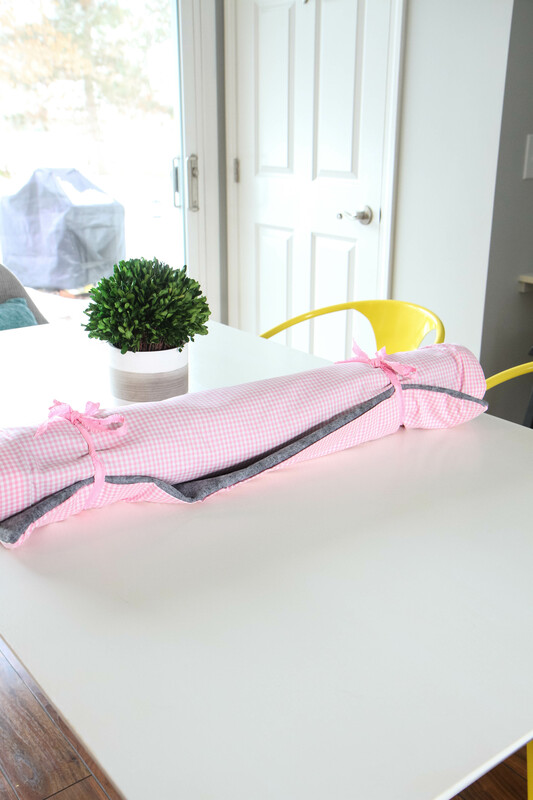 The queen of no-sew projects is back and I’m excited to share this EASY DIY No-Sew Reversible Cloth Napkin tutorial with you today. That’s right, even if you can’t sew, it’s no biggie! Can’t cut a straight line? No need to even have a skill in that! 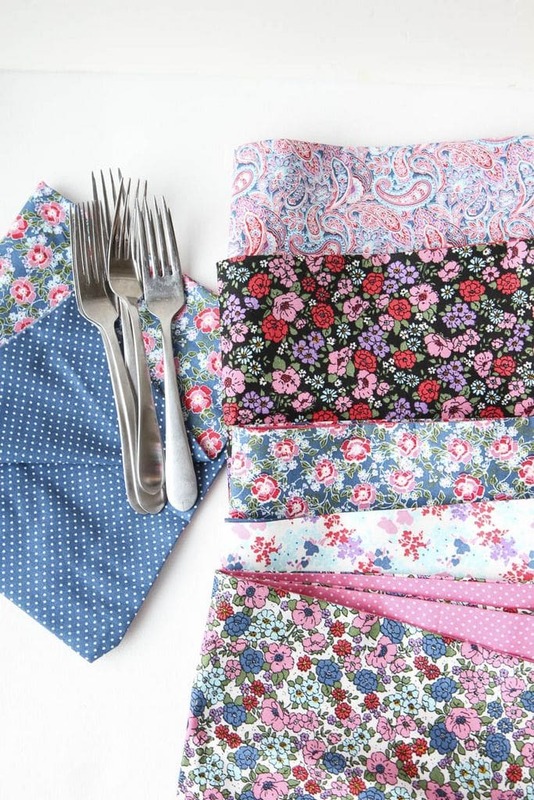 Each diy no-sew napkin should take a mere ten minutes to make and can be used for many a dinner with your family and friends. 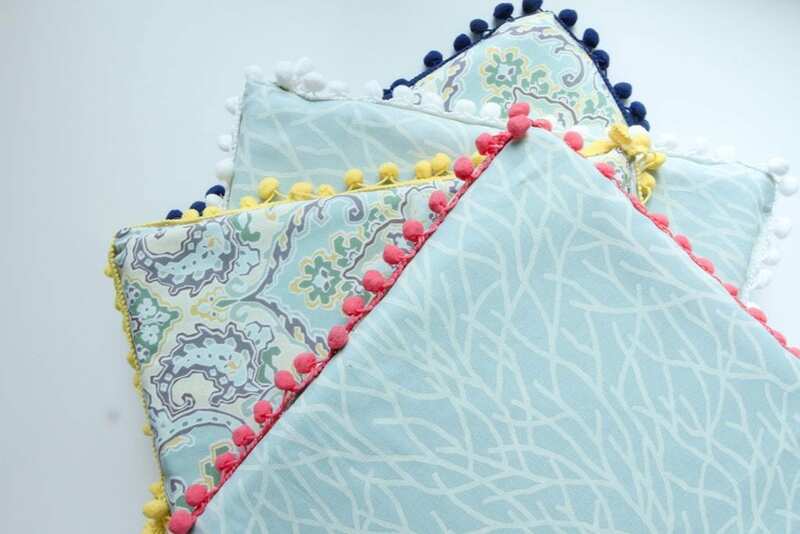 Not to mention, these would make a gorgeous gift for a newlywed or the holidays. 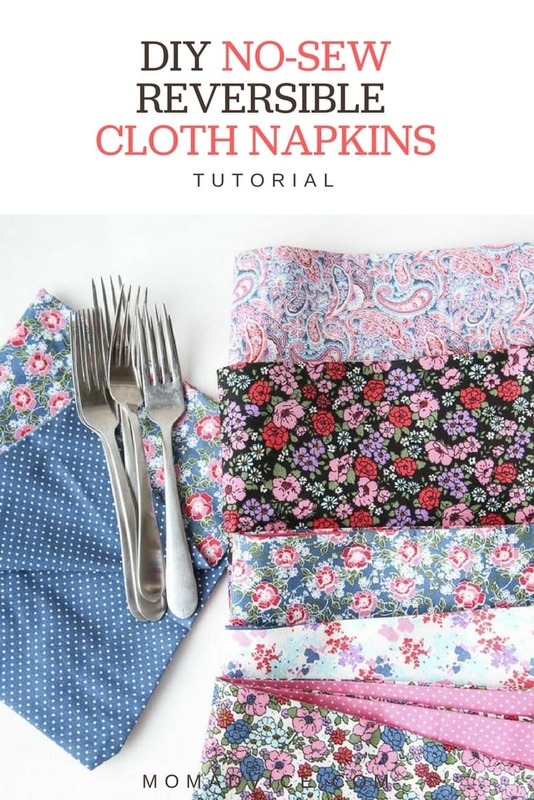 I had a set of cloth napkins that got a lot of love in our house because of their easy-to-wash material and their perfect size. I was never a fan of the colors though and so I measured my current set and headed to the fabric store where I discovered (GLORY BE!) 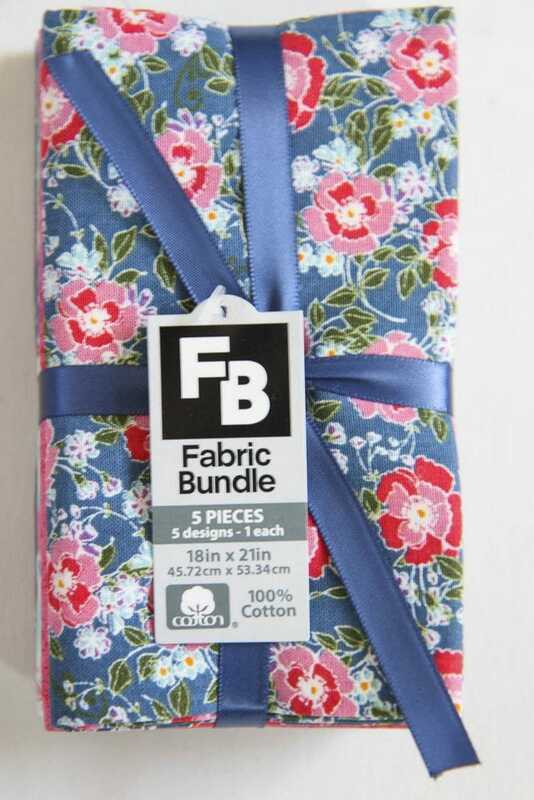 that the fabric bundles, at our local fabric shop, just so happened to be the EXACT same size. What luck for someone who can’t cut a straight line. 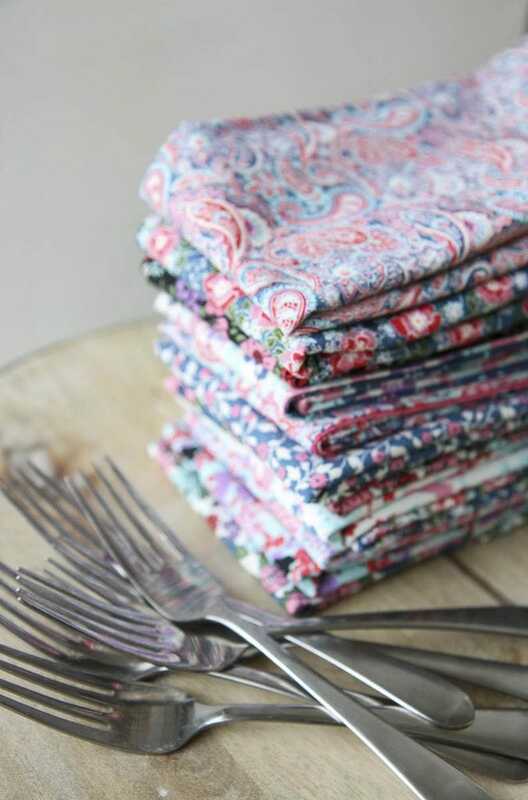 I have always loved the beauty of these color-coordinating fabric bundles (just so perfect for quilters) and thanks to their prepackaged coordination, it makes creating a reversible set of napkins oh-so-easy for those of us born without the gift of pattern-matching. Here’s my quick tutorial AND scroll down for my system for washing and storing these beauties! 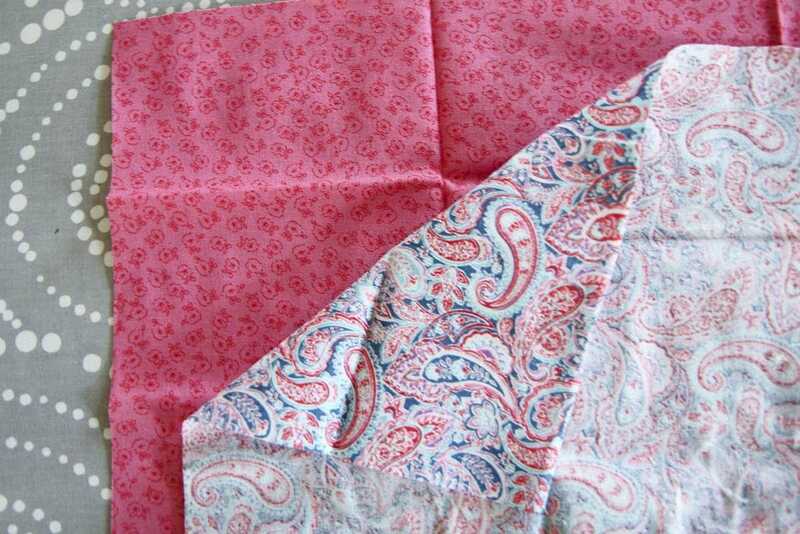 18×21 inch fabric bundle in coordinating colors- I LOVE these options or you can check here too for a more affordable option (the bundle I purchased had 5 pieces so to create an even number of cloth napkins you will need to purchase two bundles. You will need 2 pieces for each napkin you would like to make). 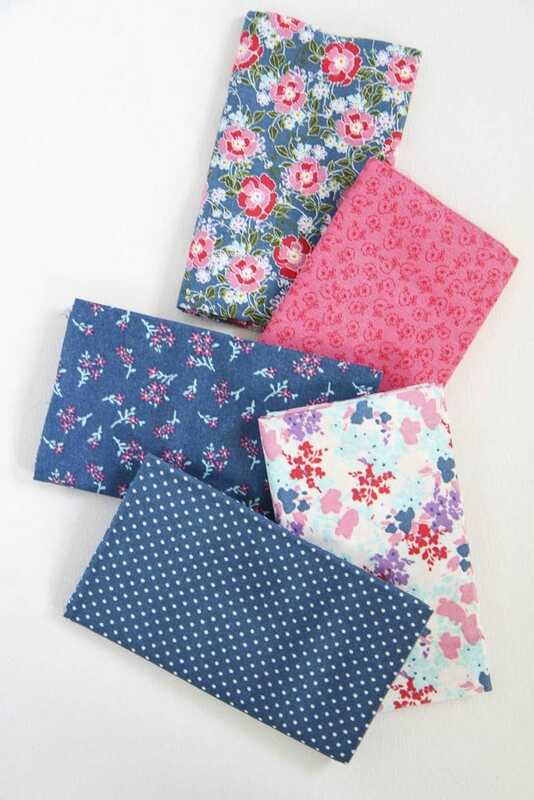 I chose Cotton & Flannel materials for my napkins. 1. 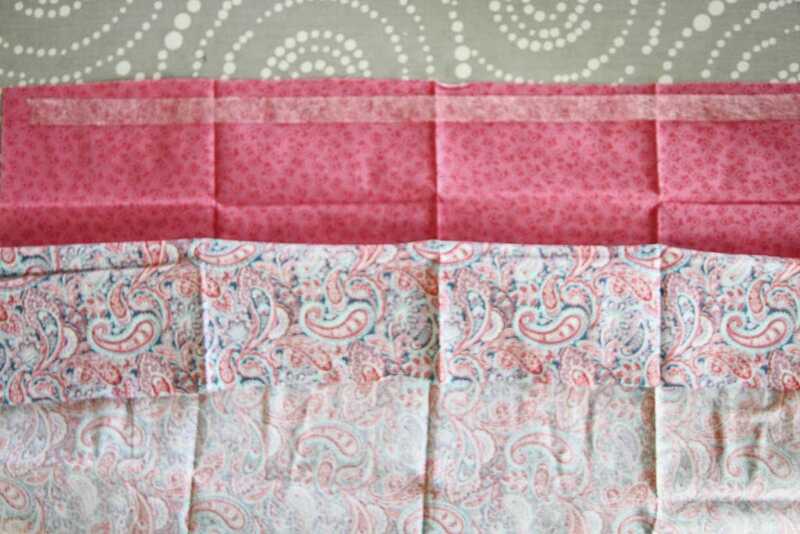 Select two coordinating colors and place the first one with the pattern up, facing you, and then flip the other one with the wrong side of the fabric out. Basically, you want the two patterns to be BFF’s and be facing each other. 2. Going all the way across the fabric, lay down your Stitch Witchery all the way across, leaving a little room on each side of the edges, as pictured. 3. 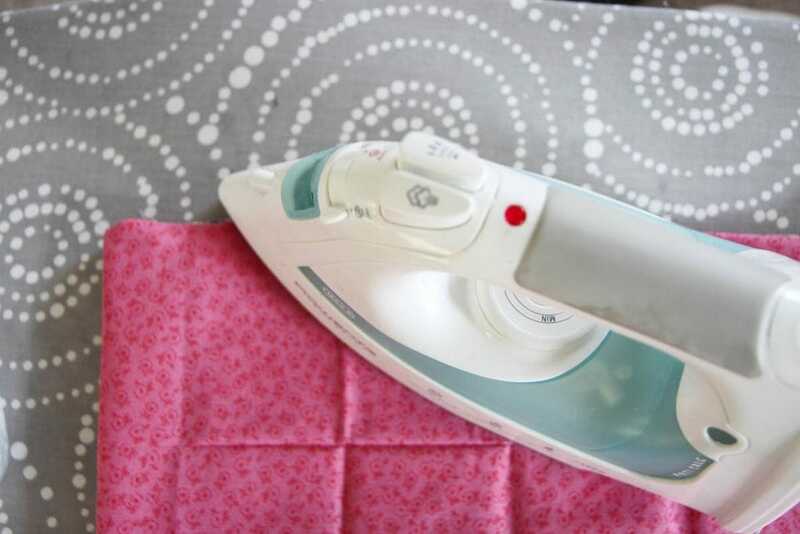 Grab you iron (I crank mine to the highest setting on that dial) and iron over the tape until the two fabrics are fused together. 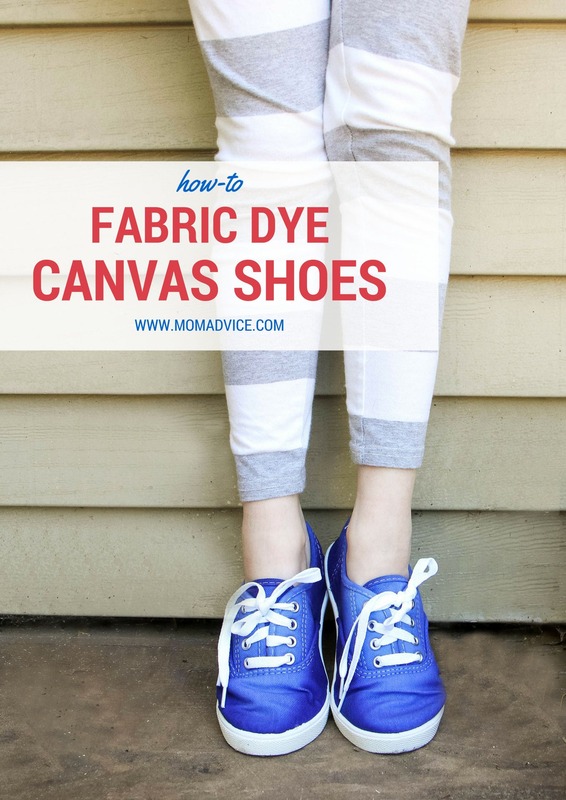 This will take several passes and you can additionally spray the fabric with a little water to produce steam and help the tape bond to each side of the fabric. Repeat this process on two more sides. 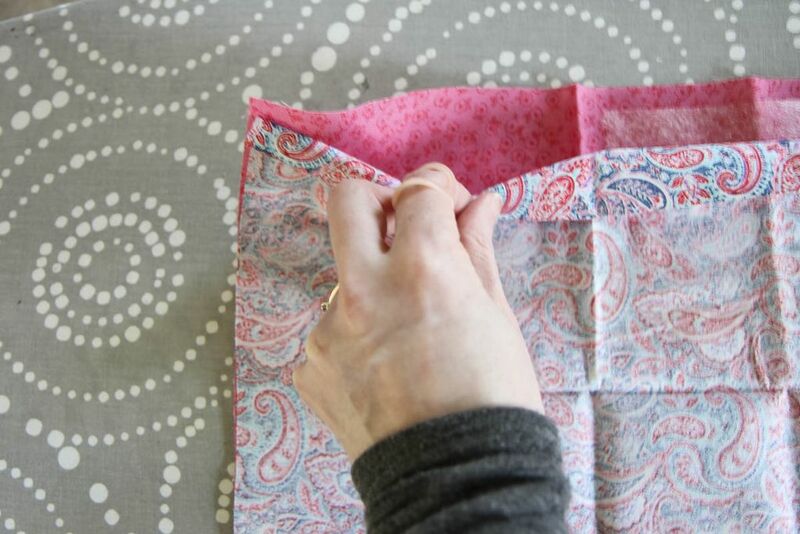 Leave one side without tape and follow the next steps to finish the cloth napkin. 4. On the final side, we are going to run the tape along like the other sides, but stop to leave a pocket so we can turn this napkin right side out. 5. 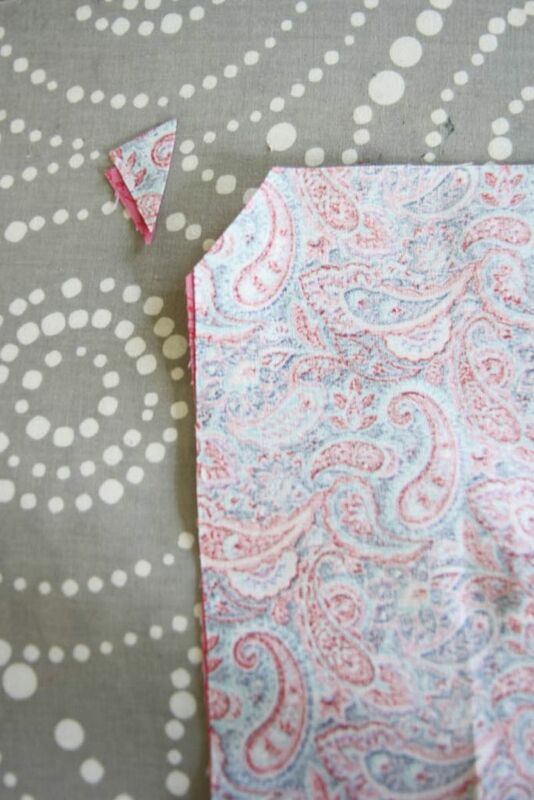 Using your scissors, cut all four corners so we don’t have excess fabric in the corners. 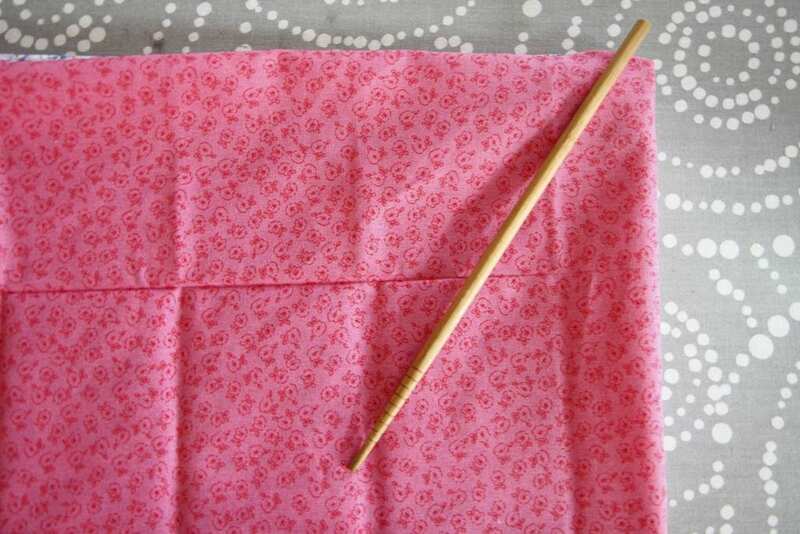 CAREFULLY, turn the napkin right side out and use your chopstick to CAREFULLY poke out those corners. If the tape comes loose while turning this right side out, don’t worry! You can easily reseal that tape again when finishing that edge! 6. Tuck the last of the ends under, to match the rest of the side that has been fused. Finish with another round of Stitch Witchery and a final press. Once the ends are all sealed, finish with a spray of water to take out any final wrinkles and to give it a good press on all four sides to make sure they are secure. I had already received some questions, when I posted these beauties on IG, on how I planned to implement these in our home. I got a container for these and have them on our hutch, next to our silverware. 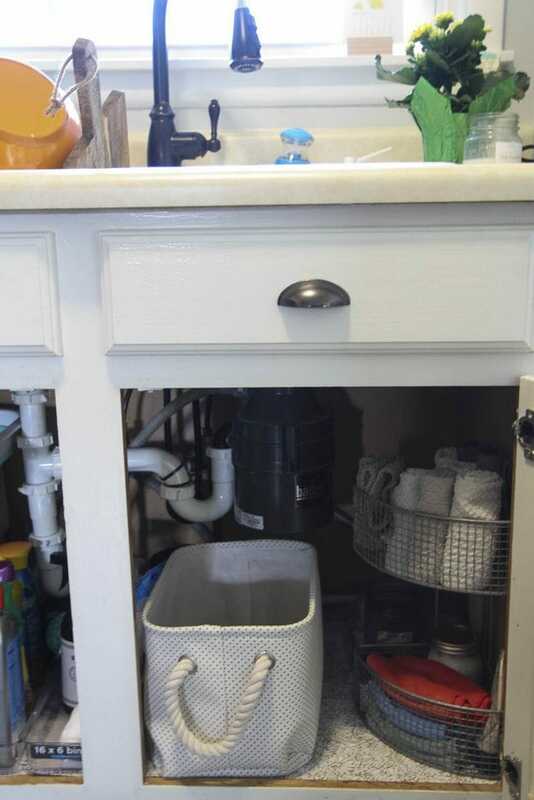 Underneath the sink is a container for tossing the dirty napkins. I got a small napkin holder that perfectly holds four of these (something like this) for the tabletop and each person gets one napkin per day. I did request darker colors for messier meals and lighter colors for meals that less messy. Each person is responsible for tossing their napkin in at the end of the day. All of this feels REALLY doable to me. Obviously, I am IN LOVE with these feminine patterns, but I wanted to make some that were more masculine too. 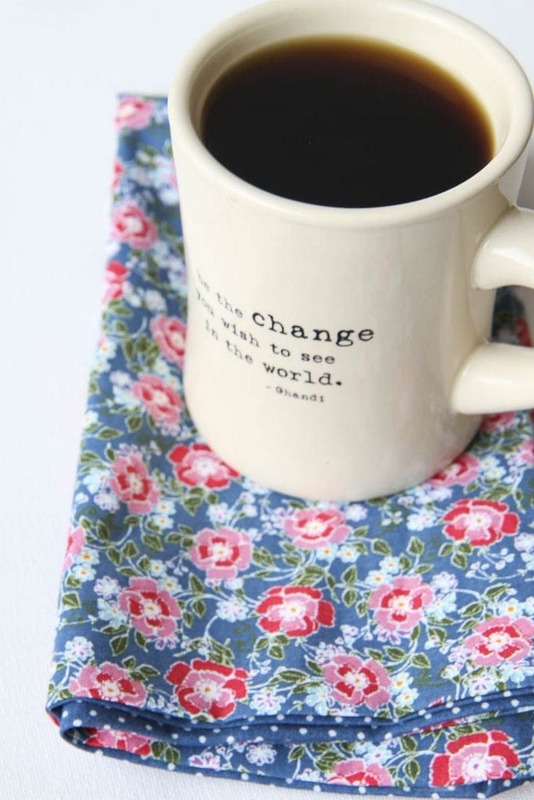 I found some flannel and did some of our napkins in this fabric too. 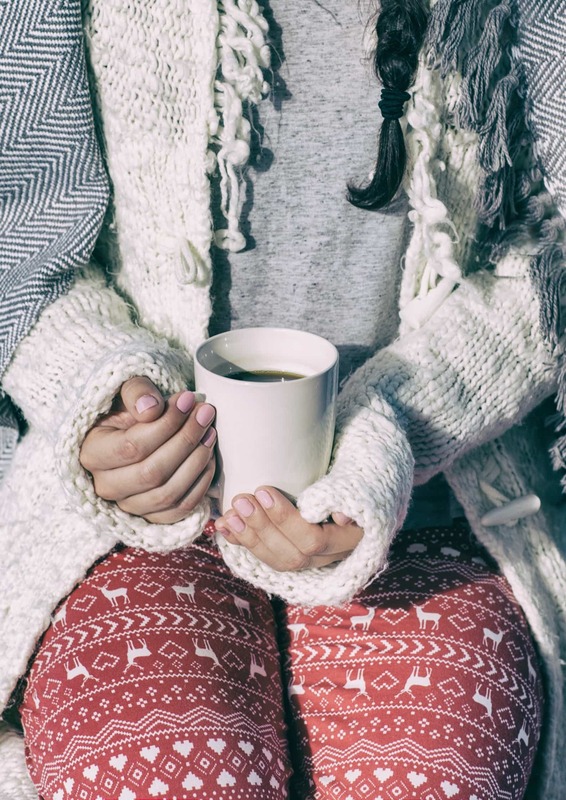 The best part was that the print was on both sides so the warmer side of the flannel would be perfect for the winter months while the flipside of the flannel was perfect for all seasons (and, honestly, I had less worries about lint issues). I can picture just how beautiful these would be to dress up the table for the holidays. You can’t buy this at Target. You get to be totally unique. 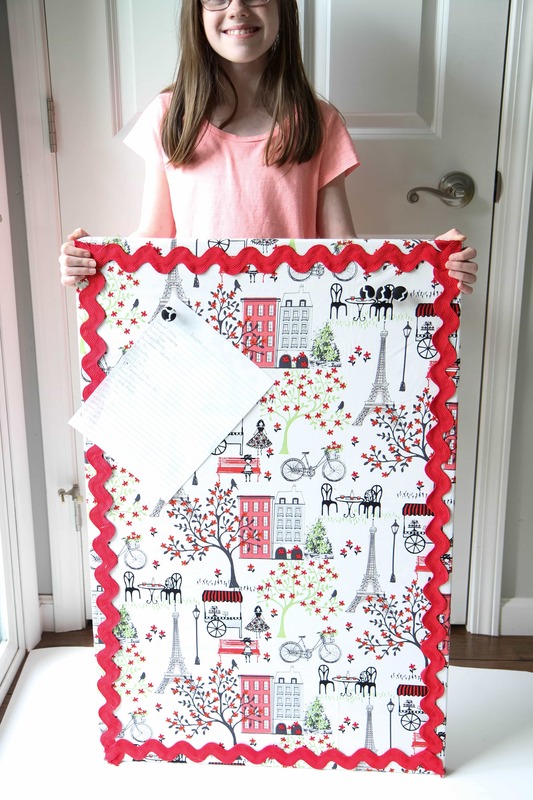 Do you love NO-SEW projects? You hit the lottery over here! 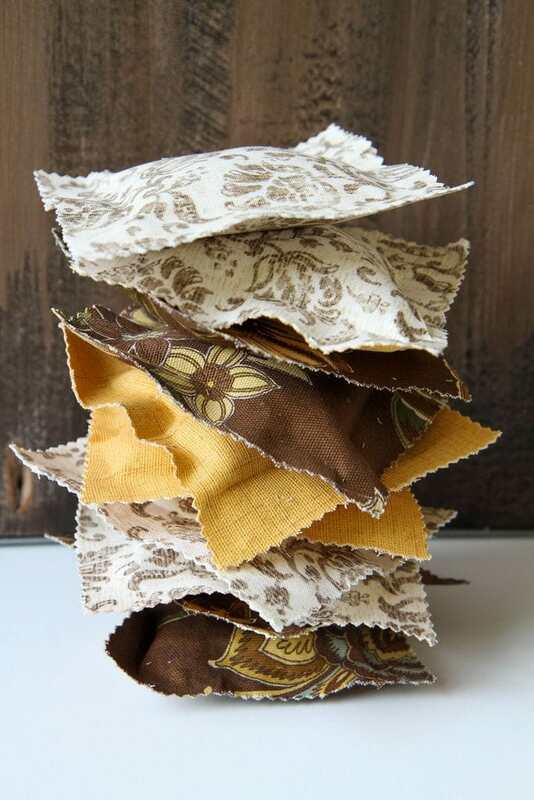 Check out a few of my favorite no-sew tutorials! Told ya, queen of the no-sew life! 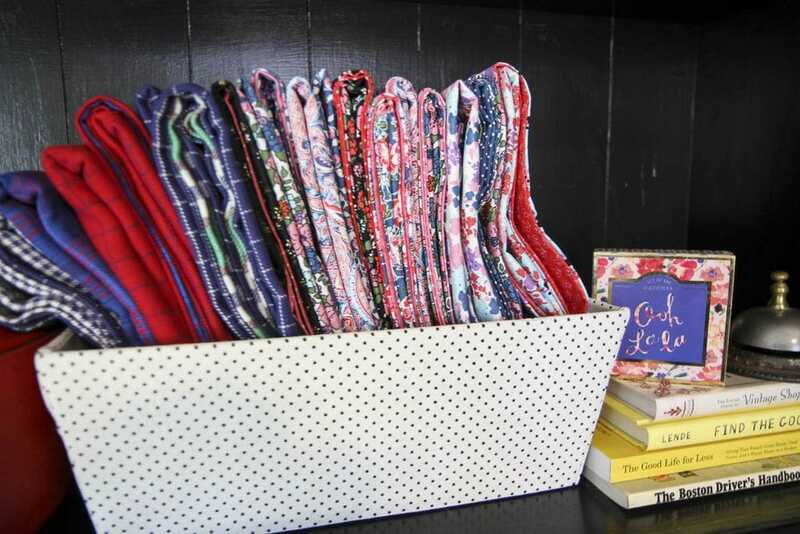 Have you made the switch to cloth in your home? I’d love to hear what systems work best for your family? What could be more fun than decorating for the holiday season? 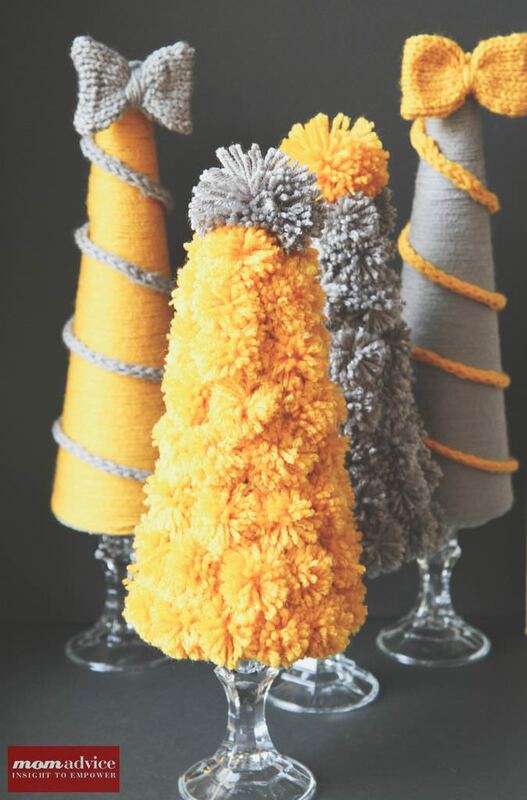 For this month’s holiday project, I wanted to share with you a fun DIY project for creating festive yarn trees that you can create to decorate a ledge, table, or mantle in your home. 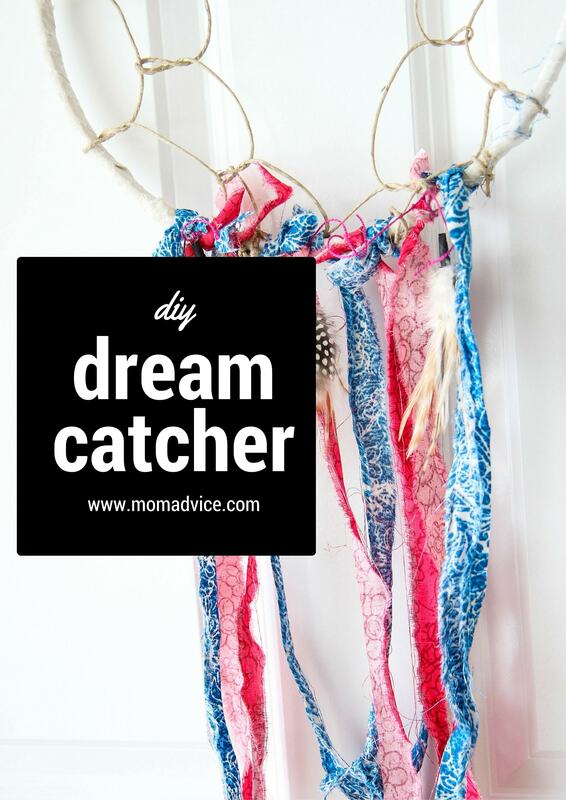 You will only need a few affordable supplies from your craft shop to create this craft. Don’t think of these as only a decoration for Christmas. These are beautiful to display all holiday season long, especially in a nice warm neutral yarn! 1. For each of the smaller trees, you will need approximately 73-75 small pom poms. 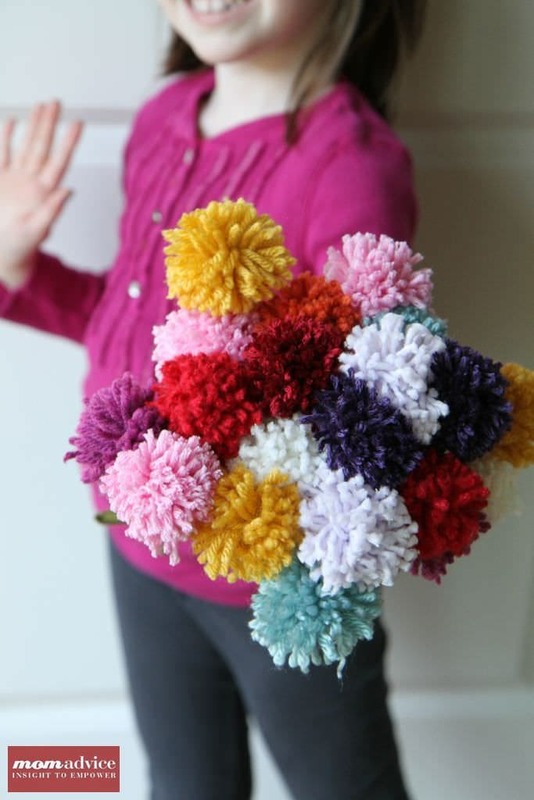 I am in love with my pom-pom maker for making these and have provided a picture tutorial above, if you would like to use these too. 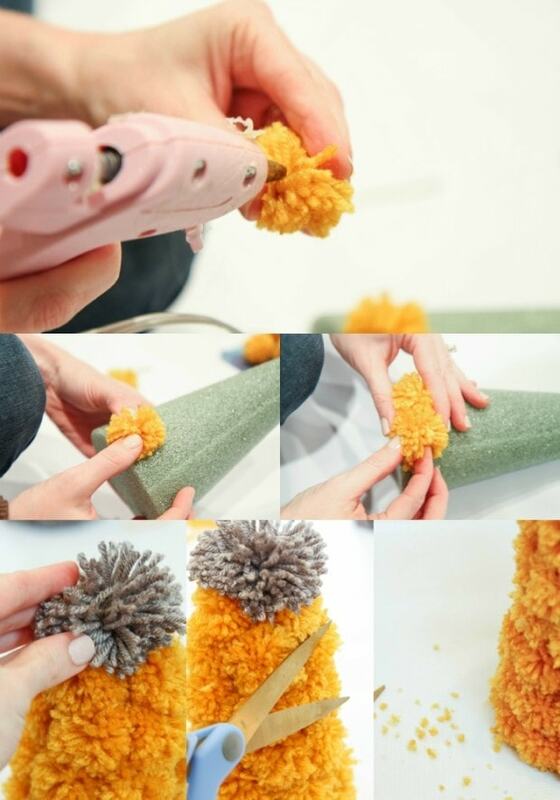 Make sure to give your pom-poms a nice trim, to even up any uneven spots. 2. Once you have made all of your pom-poms, it is time to assemble them to your tree-form. 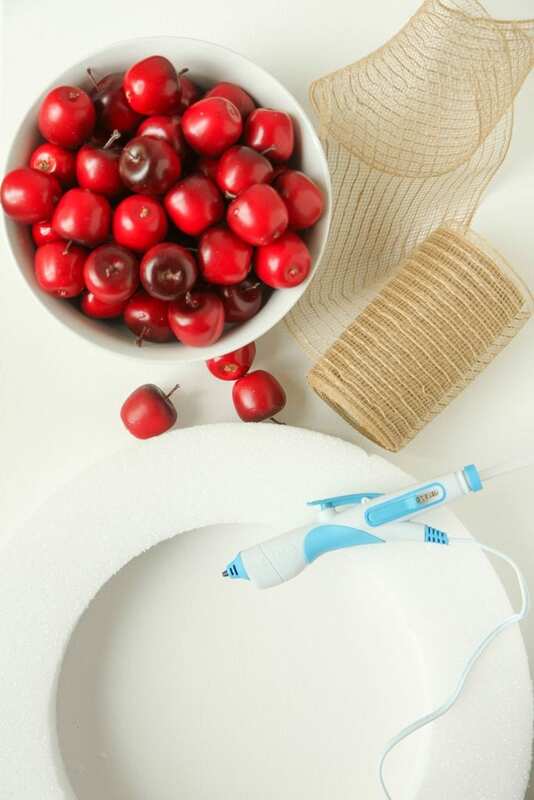 Grab your hot glue gun and apply a dab of glue in the center of the pom-pom (where you have tied the string to gather everything. Apply the pom-poms to the tree, starting at the bottom and working your way around the tree. Try not to line these up all evenly, but stagger them in each row to make it look more like a real tree! 3. Continue adding pom-poms until you get to the top of the tree, making sure all of the tree-form is completely covered. 4. 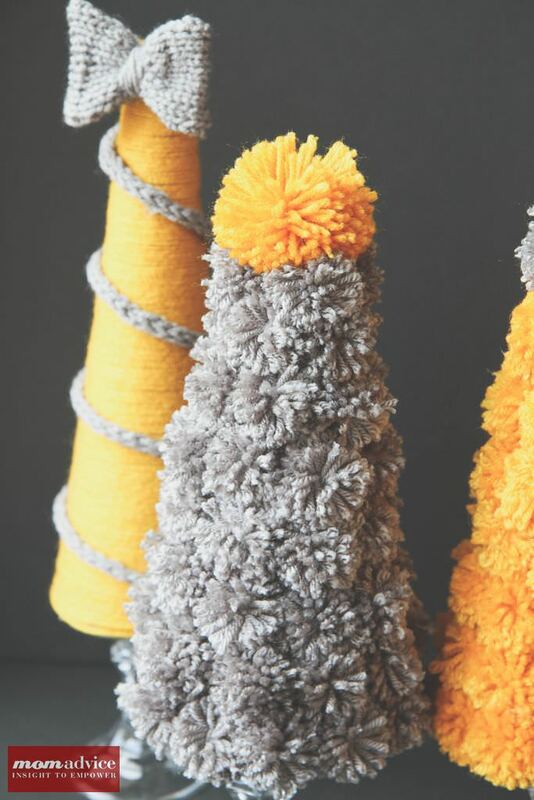 Make a large pom-pom in a contrasting color and secure it with hot glue, in the center again, and add it to the top of the tree as your star. 5. Finish by giving your tree a trim, especially at the top, to trim all of the yarn down to make it look more like a tree. 6. 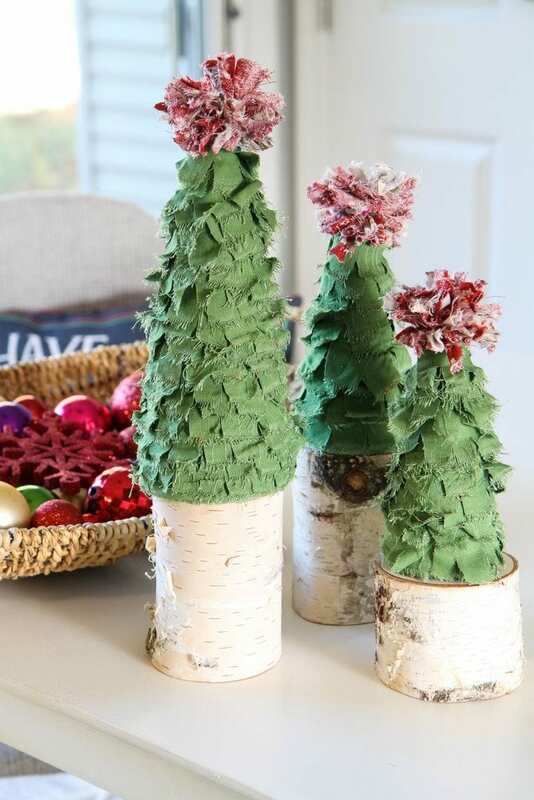 For an easy yarn-wrapped tree, begin by adding a dab of hot glue to the top of your taller tree-forms. Begin by applying your yarn in a swirled motion at the top. Add one more dab of glue at the top and begin wrapping your tree-form all the way around it until you are about a half-inch from the bottom. 7. 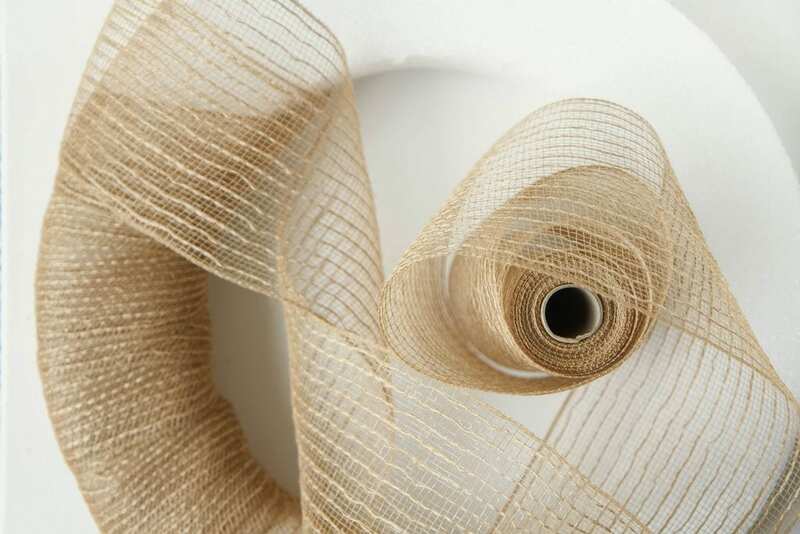 Add one more dab of glue and then finish adding the yarn until you reach the bottom of the form. 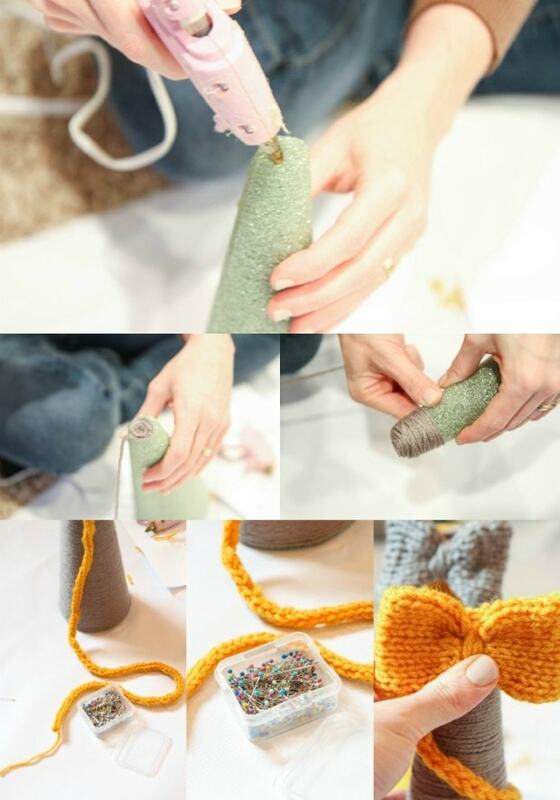 Clip the yarn and secure the end with a little hot glue. 8. Decorate this tree-form any way that you would like. 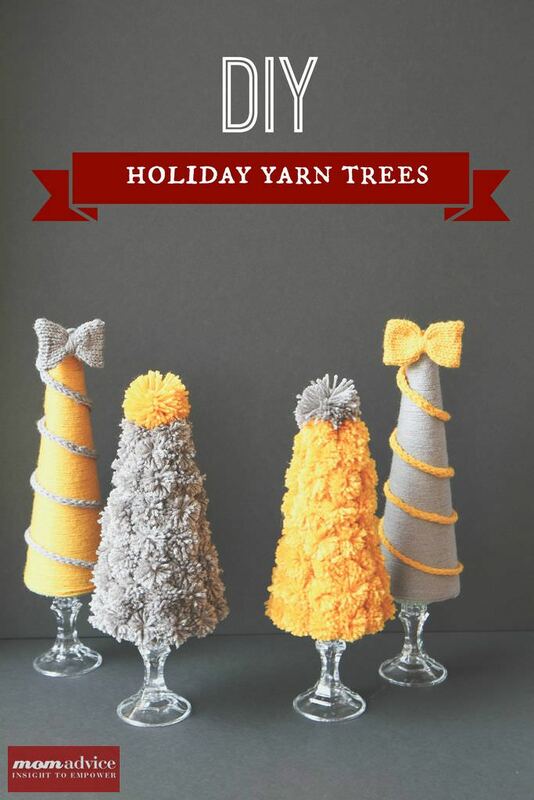 If you are not a knitter, there are many varieties of ways you can decorate these yarn trees. 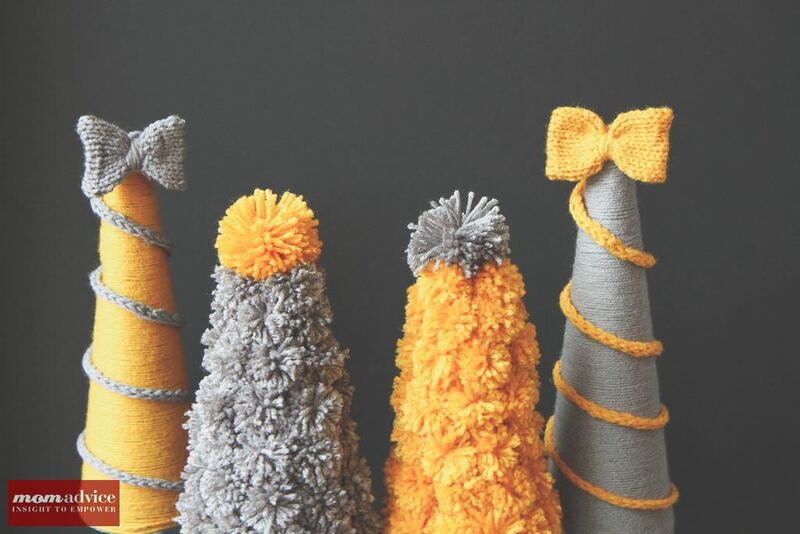 You can top with a pom-pom in an alternating color, create a multi-colored pom-pom for topping, braid yarn to create a garland, or create some garland out of a contrasting color. 9. If you are a knitter, knit a 3-stitch i-cord using two 4.0 mm double-pointed needles for a total of 32.5 inches. Using straight pins, secure the i-cord to the top of the tree and then wrap around and around, securing occasionally with pins, until the tree is completely wrapped in garland. 10. Top your tree with a simple knitted bow, if knitting an adornment. Using your 3.75 mm straight needles, cast on ten stitches. Knit the first row, then purl the next row. Repeat this pattern until it measures 6.5 inches in length. Cast the stitches off and then seam them in the center. 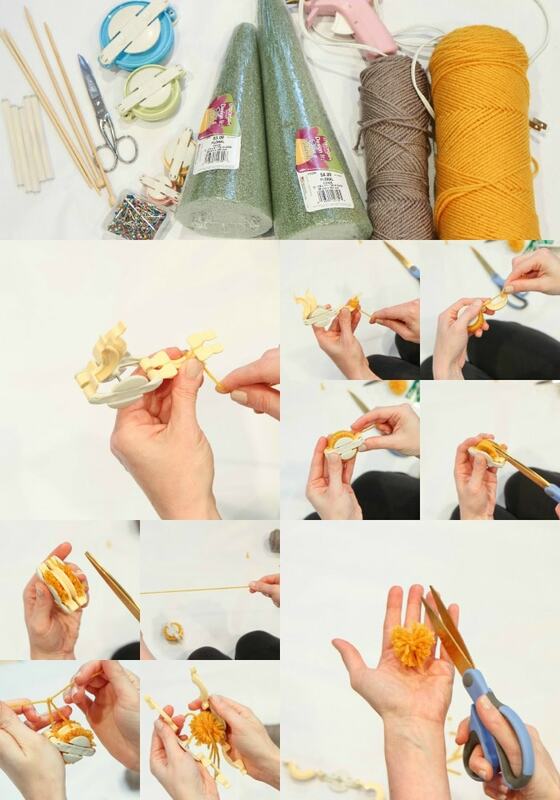 Using more yarn, simply wrap the center of the bow and then knot the yarn behind. Secure the bow at the top with hot glue. 11. Attach all of the trees to inexpensive dollar-store candlestick holders. If you desire, you can spray paint these in your favorite color or just leave them plain, as I have shown. I hope you love these little yarn trees as much as I do! 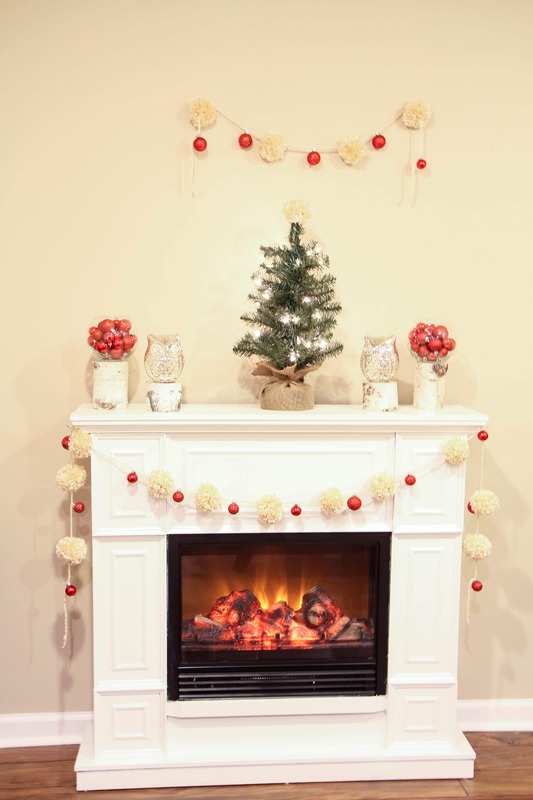 It is definitely an inexpensive and fun way to dress up a corner of your home for the holidays! This post contains affiliate links. I only recommend what I love! This blog was sponsored by Westcott. Thank you for supporting the companies that support our site! I’m back to crafting today (all the jazz hands!) 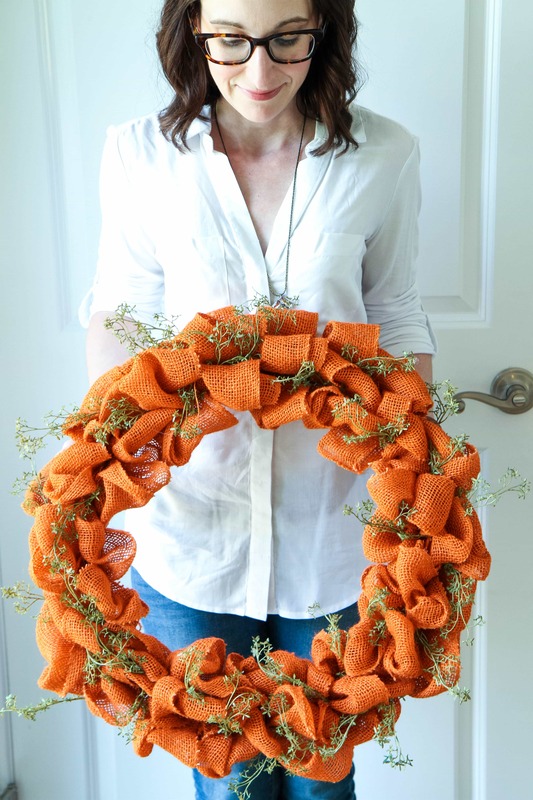 and I’m SO excited to share a fun apple wreath tutorial to freshen up your front door for fall, but I’m even more excited to share with you a secret that I’ve been keeping for the past couple of months. 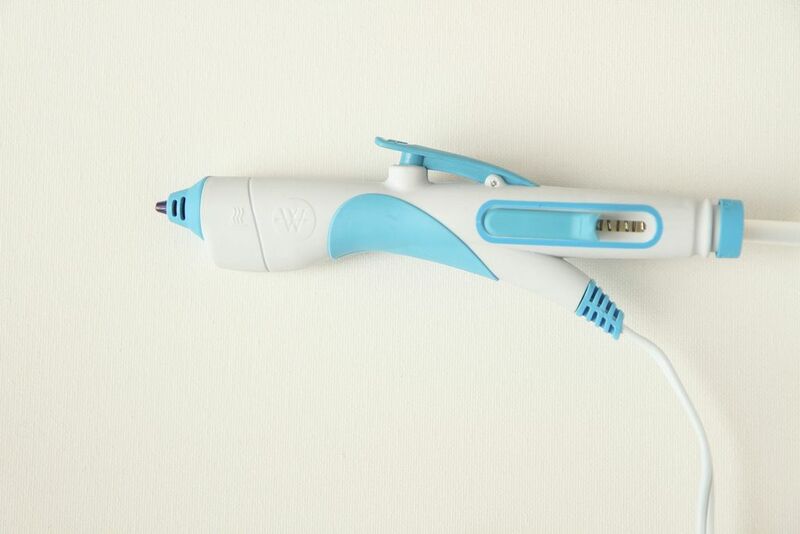 Westcott, our sponsor today, has launched a new Mini Hot Glue Gun and Hot Glue Pen. A hot glue pen, you say? Let’s talk about the Mini Hot Glue Guns first. 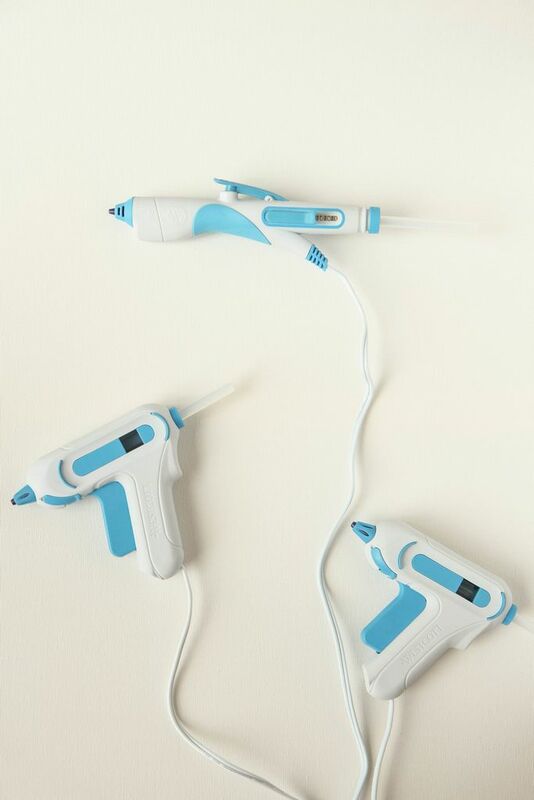 The Mini Hot Glue Gun comes in two versions, high temp (this baby reached up to 400 degrees Fahrenheit) and low temp (that can reach up to 170 degrees Fahrenheit). What makes these a little different are the smart features that I’ve always wished my glue gun had and I know you will appreciate too. This has a non-stick tip (!!!) and the nozzle changes color from blue to red so you know when it is ready to use. No guessing and burning yourself checking it anymore! 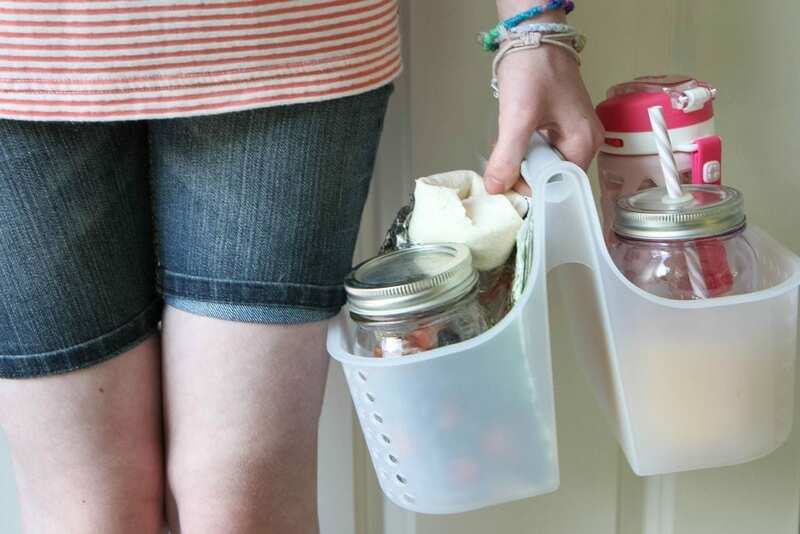 It also has been ergonomically designed to help your hands stay comfortable for all your crafting time. Since I have so much joint pain, I haven’t been crafting as much as I used to. This new Hot Glue Pen though is incredible and helps with your precision and accuracy when you are doing detailed projects. 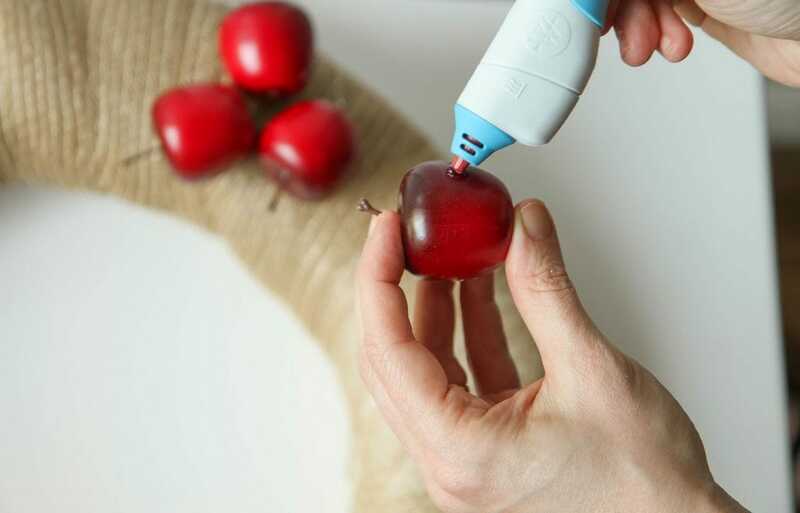 This one also turns colors to indicate when it is ready and it offers a finger trigger right on top to help you dispense glue in a more controlled way. 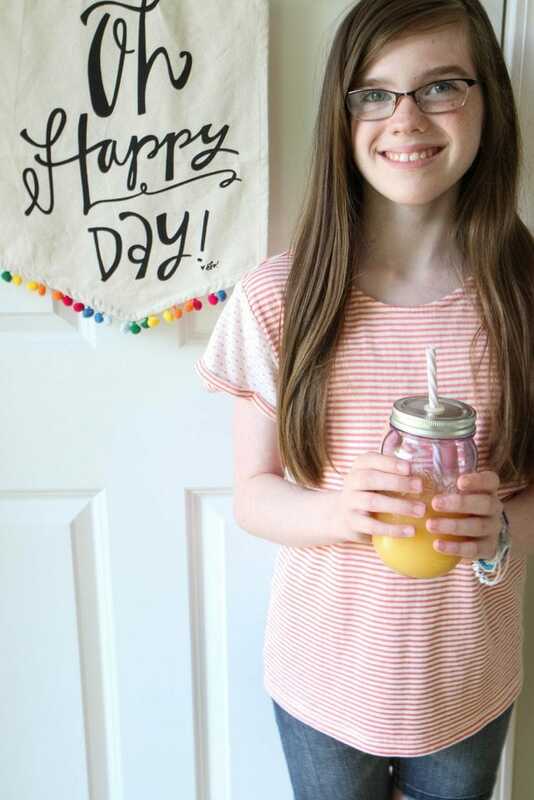 I have joked that our entire house is held together with a glue gun so I was MORE THAN HAPPY to spread the good news about these new products! You can read more over here and also check out their new site for Westcott Creativators. 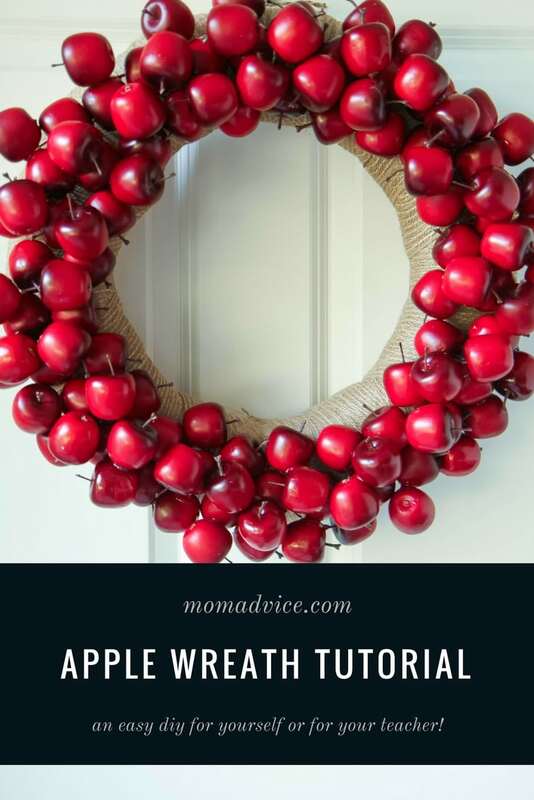 How about we take these for a test drive and craft up a beautiful diy apple wreath for your home, to share with a teacher, or a fun wreath to hang to celebrate back to school? 1. 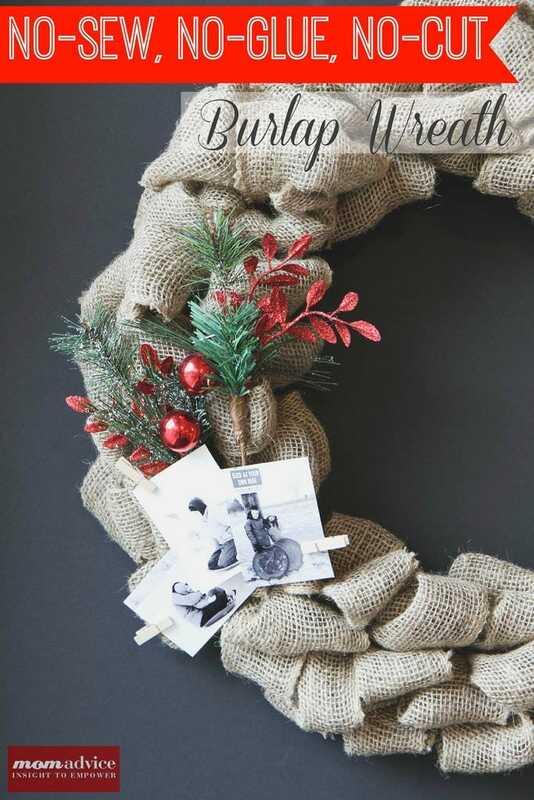 Begin by wrapping burlap around the styrofoam wreath form. Once the entire wreath is wrapped in burlap, secure with a couple of pins to keep the burlap tight. 2. 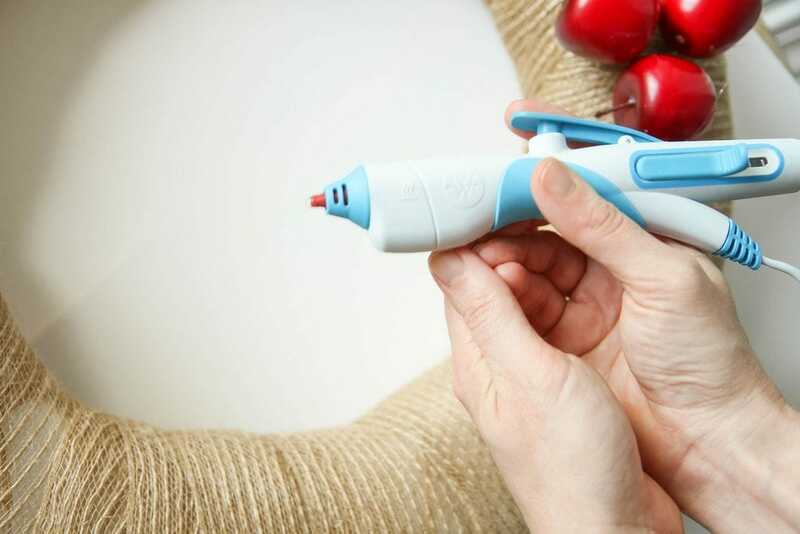 Heat up your Westcott Hot Glue Gun Pen and wait for the tip to turn red, to indicate that it is hot and ready. 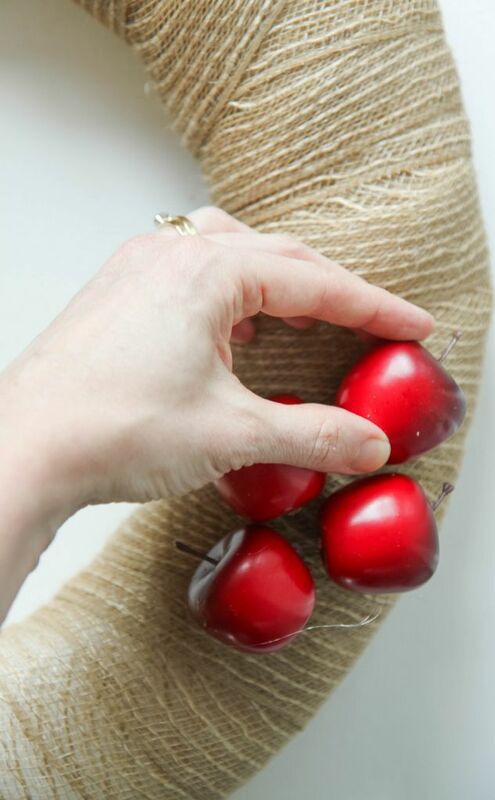 Begin securing these foam apples all around your burlap wreath, taking your time holding each of these to the burlap until they are secure. 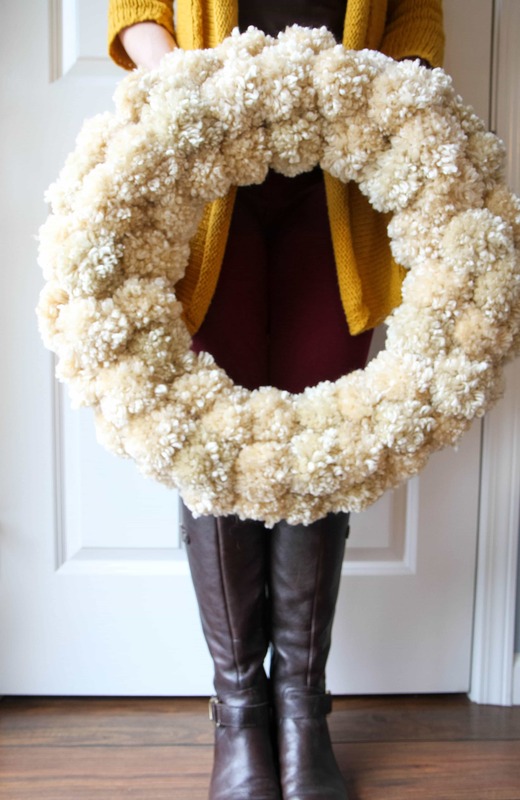 Be sure to tilt them in different directions, covering the entire top of the wreath. 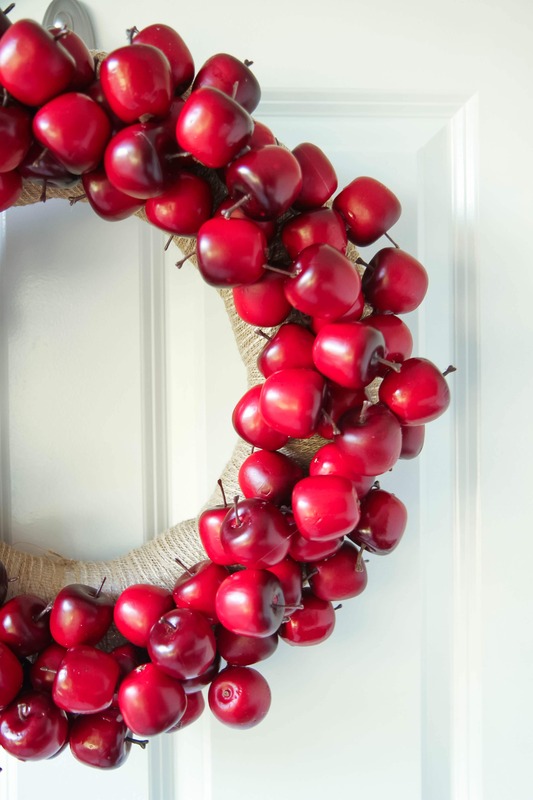 You can then leave the wreath as is or you can add another layer on top in between the first layer apples. 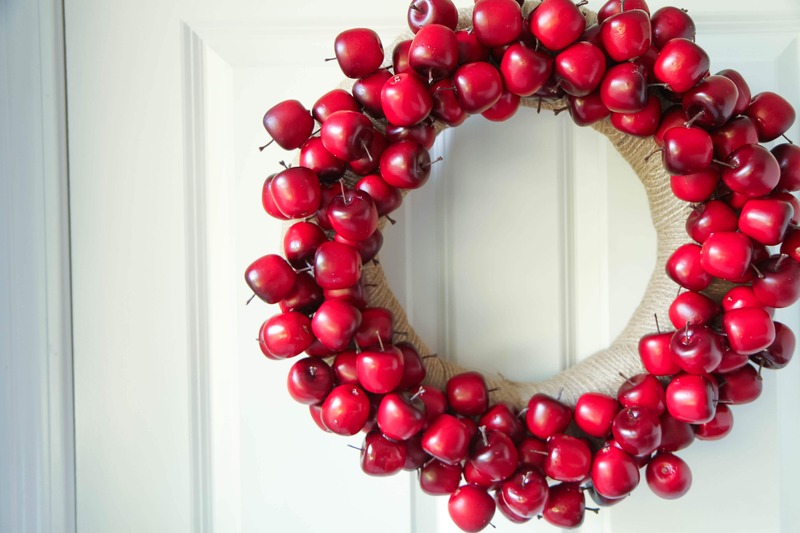 I loved the dimension of two levels on this wreath so I added an extra round of apples to finish my wreath. 3. 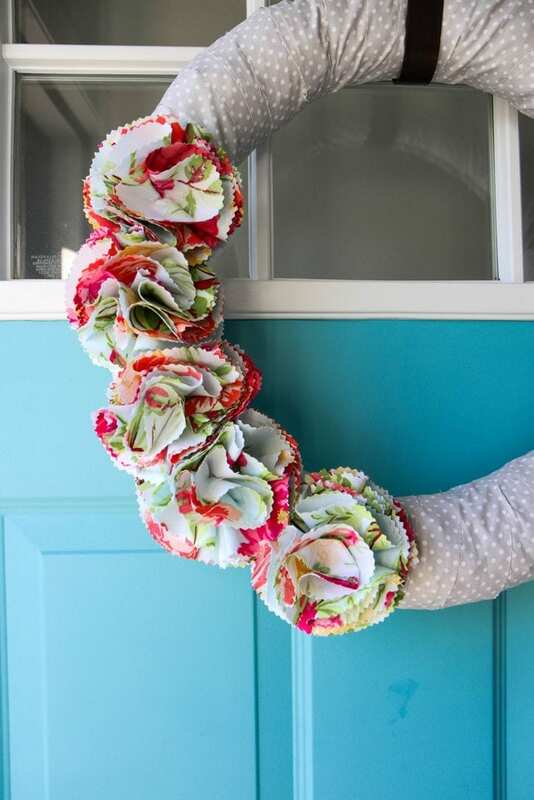 Finish by hanging your wreath on a door. I looped a little twine on the back through the holes in the burlap to finish this wreath! 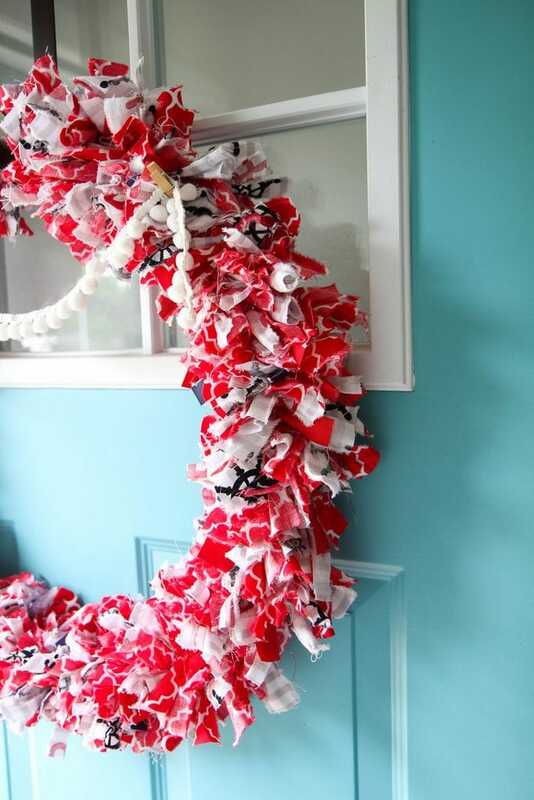 I hope you have fun making a wreath of your own, for yourself or for your favorite teacher! 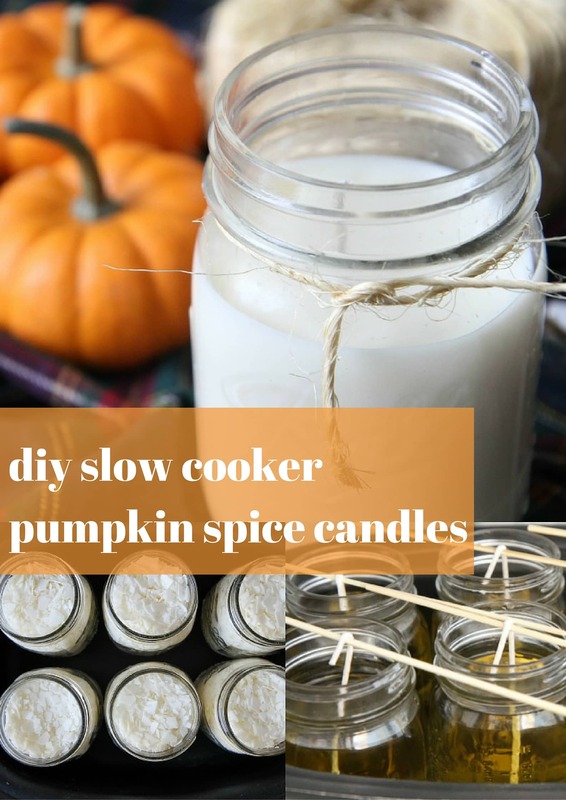 This is such an easy craft to make and can be enjoyed throughout the fall season. Thank you to Westcott for all the hot glue gun fun! 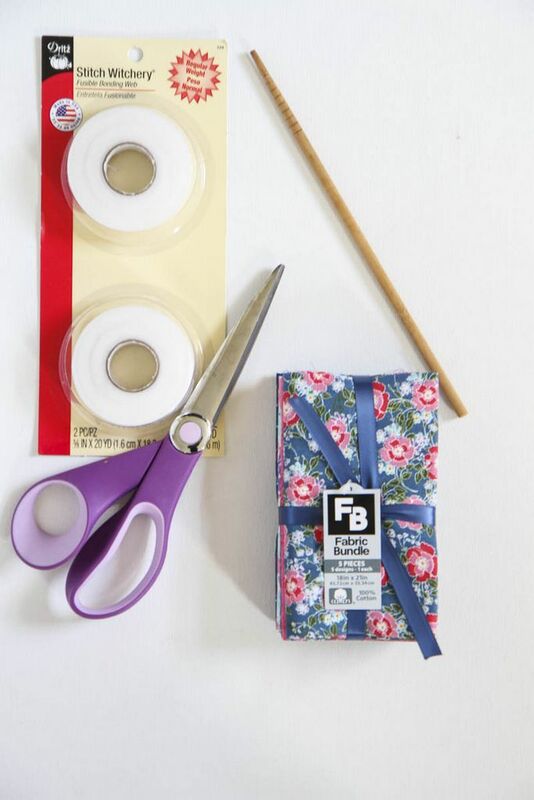 I’m so excited to work on future projects with this smartly designed craft tool! Well, hello there! I hope your summer is off to a lovely start! We are trying to soak in as many carefree and unscheduled days as we can, but it is funny how life gets in the way of this. This week we tackled doctor’s appointments, the dentist, running a kid back and forth to a sleepover, and we are signing up for a couple of fun summer programs and camps that are happening around town. 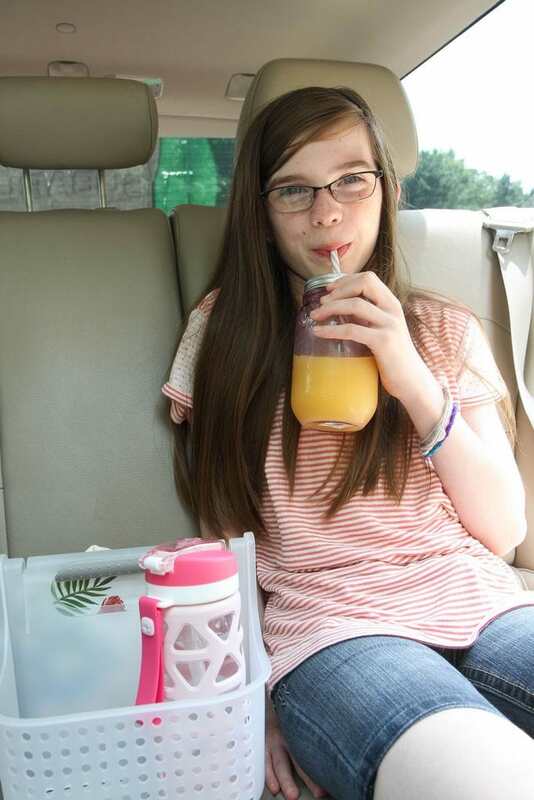 All of that leads to busy mornings so today I am partnering with Florida Department of Citrus to show you how to enjoy your breakfast on-the-go, complete with a glass of Florida Orange Juice! 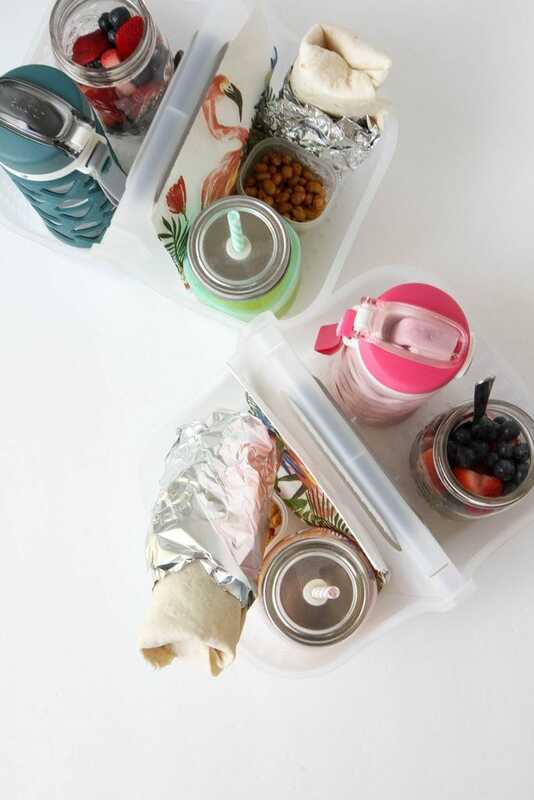 We are sharing a breakfast caddy idea that you can assemble on the weekends to get your kids off to a great start, no matter what is on the to-do list! 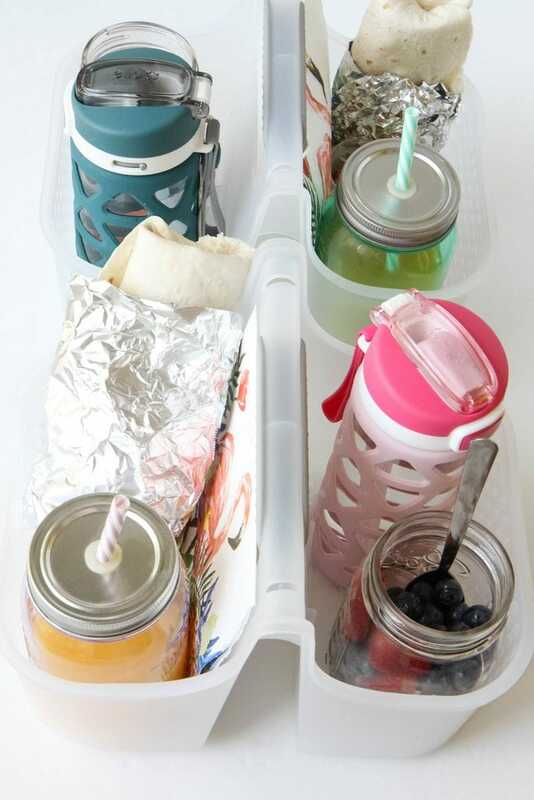 I will admit, I got the inspiration for this from Pinterest where there were numerous pins of fast food meals in totes to make it easier for kids to eat their meals. I wanted to translate that idea into a healthy one that is perfect for busy mornings. The beauty in this project is that you can fill your tote with whatever you think will help fuel your kids that day. I can’t stress enough how much I LOVE these make-ahead burritos because they save me on many busy mornings in our house. Once heated, they can be wrapped in tin foil to keep them warm. Of course, if burritos aren’t your thing, a breakfast sandwich made on an English Muffin, peanut butter on rice cakes (a favorite in our gluten-free home), or even a slice of frittata (try this one, or this one) can be other great options for the main course. For fruit, I follow the rule that it must be in season and on sale that week to make it in our produce drawer. Today’s fruit selection are blueberries and strawberries in mason jars, but grapes, bananas, cantaloupe, or watermelon also make great options. You could also do a package of easy-to-eat veggies like baby carrots, celery sticks, or red & green peppers if you struggle to get your kiddos to eat fruit. 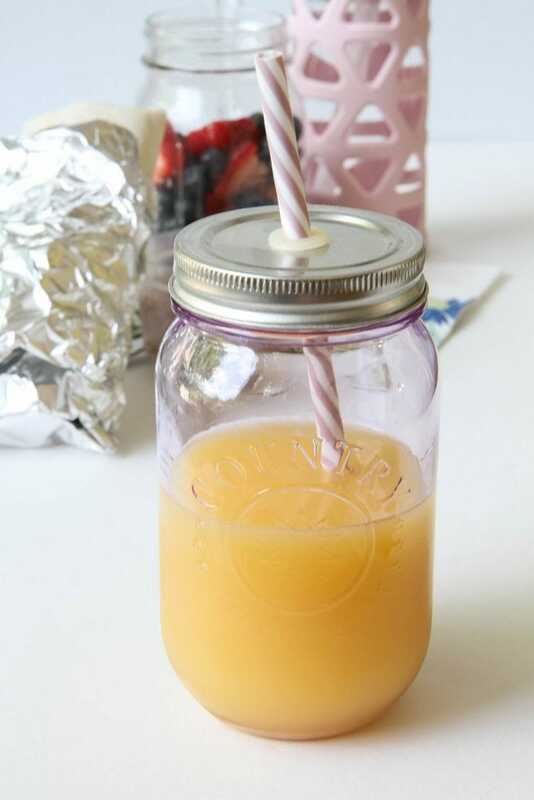 Of course, a surefire way to get your kiddo’s to consume fruit is a little juice, isn’t it? Did you know that an 8 oz. glass of 100% orange juice counts as one of your daily recommended servings of fruit? Pretty cool! Not only that, Florida Orange Juice provides 5 amazing nutrients in every glass: Taste, Vitamin C, Folate, Potassium and No Added Sugar. Since mornings can be long in the car, I added toasted edamame in a small container for munching before or after our morning activities. 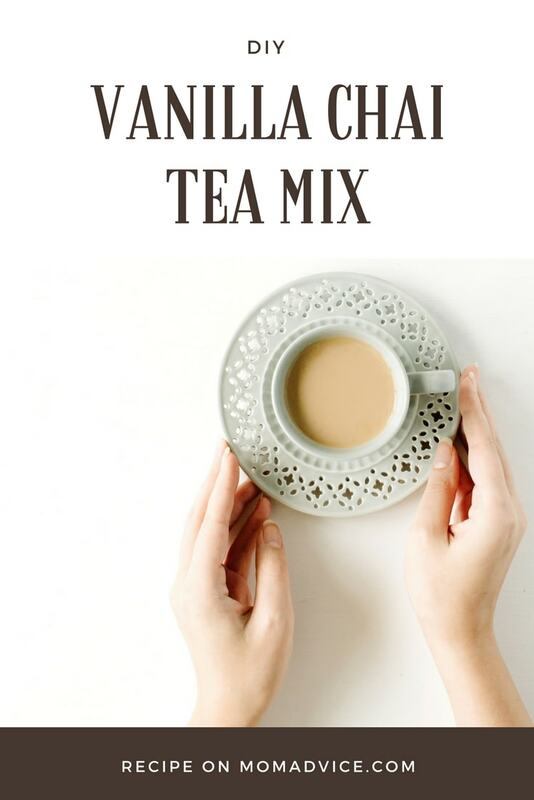 You could also do nuts like almonds or cashews to add a healthy crunch to round out the meal or as a great in-between snack once hunger strikes again. You just know it will! Oh, and don’t forget the water! It has been a scorcher out there so we are trying our best to stay hydrated. It’s also so nice to have a water bottle in case we forget it for the next thing on the agenda. 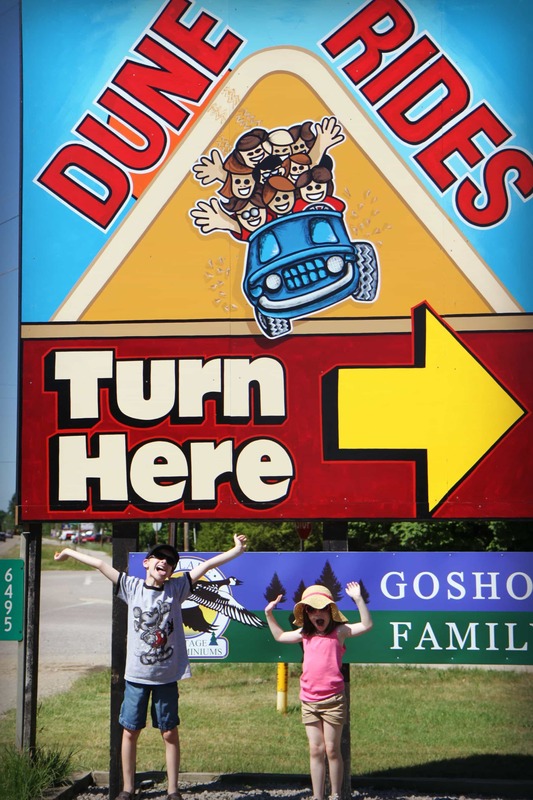 Wouldn’t this be so great for your next family trip too? 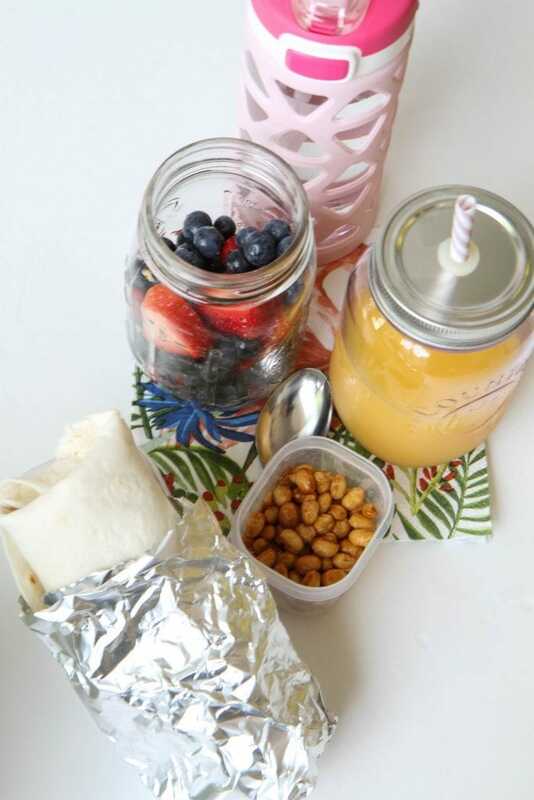 I have a feeling that our mornings would start out a lot better on trip days if I had a few of these items prepped and ready to go in my fridge for our next adventure. Well, we are all packed up and off to our next thing probably. I just want time to s-l-o-w down, but I blink and another summer is over. Do you feel that way too? 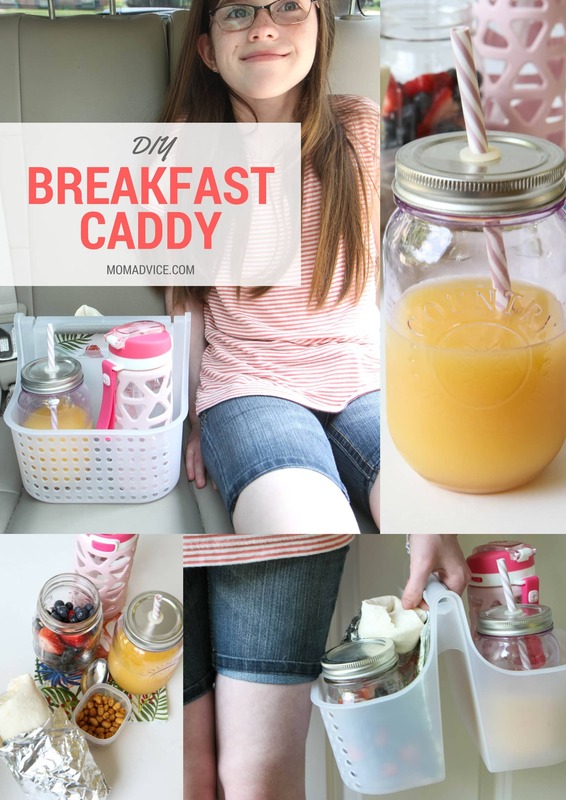 I hope this idea can be one you can use to fuel the family and maybe squeeze in a good chat with your kids while they are enjoying their breakfast on-the-go. I have, honestly, had some of my best talks with them in the rearview mirror. It is one of those ways that I have found it helps to keep an open dialogue between us as we navigate these new waters of being teens and tweens. 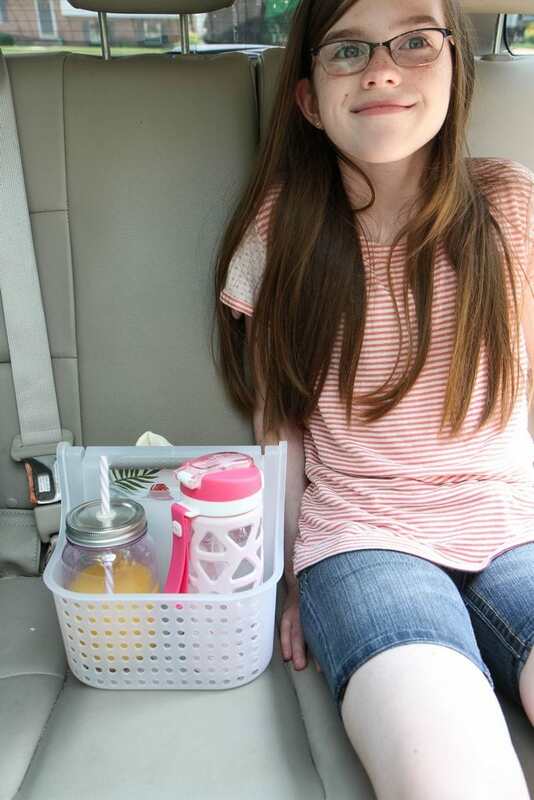 Thank you so much to Florida Department of Citrus for letting us share our fun little diy breakfast caddy with you. We hope you find this idea inspiring. Cheers, mama, to surviving another summer! PS- I hope that you made some room for some FLOJ in that mimosa over there!! Love this idea? Be sure to visit these fun posts too! Follow the rules below to enter to win a HUGE prize pack from Florida Department of Citrus today!! Follow the rules in the widget below- good luck!